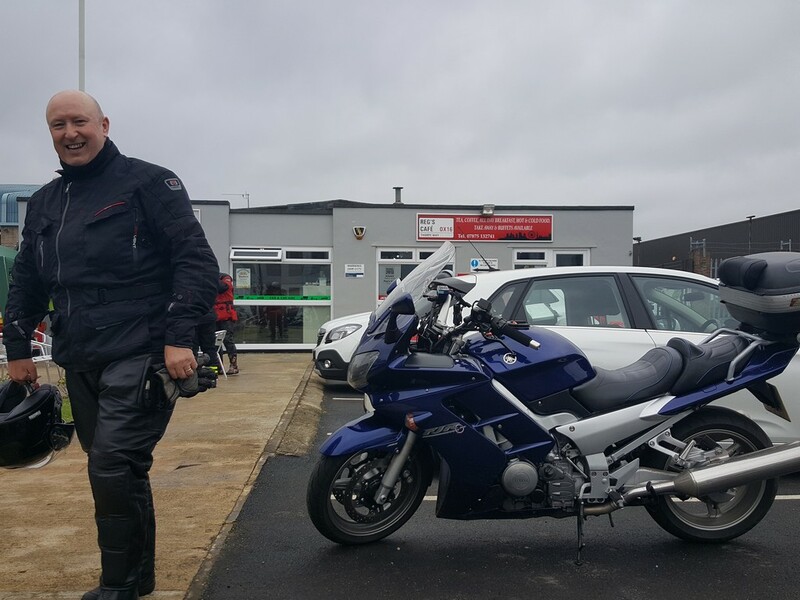 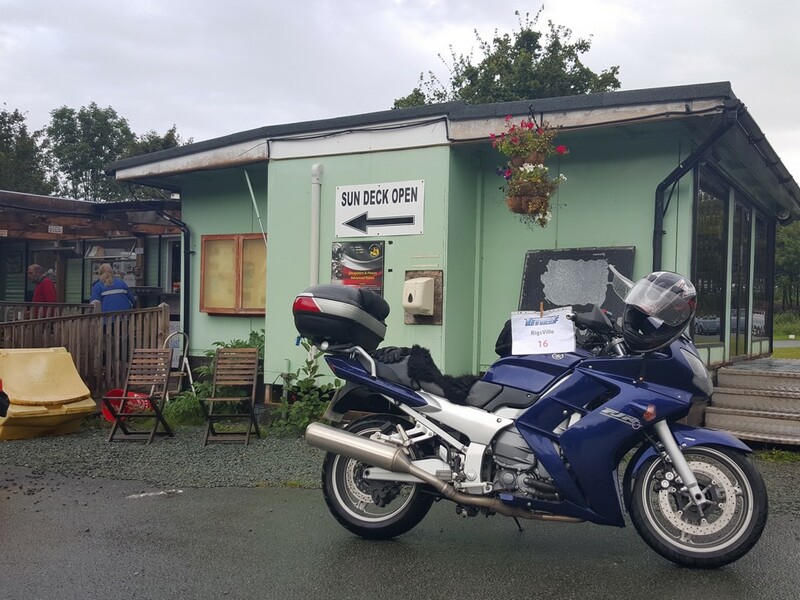 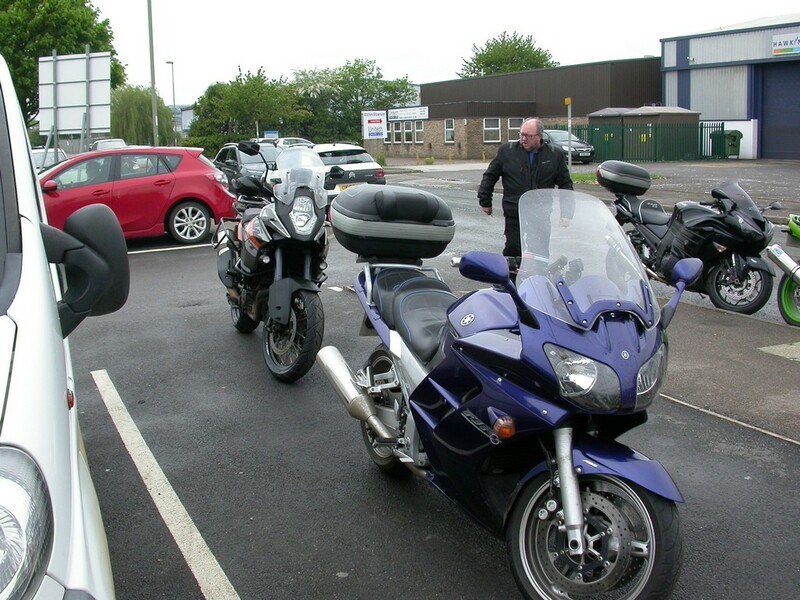 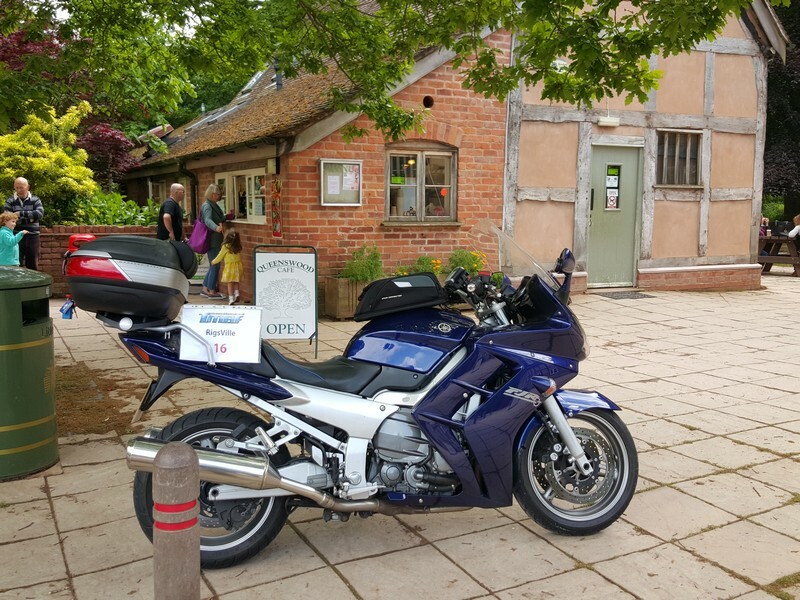 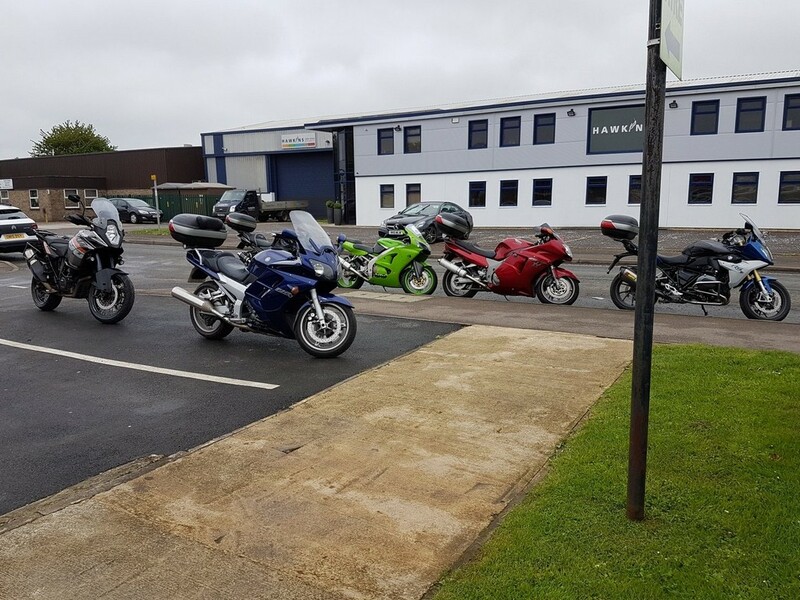 While out at a recent Rigsville ride-out that ended up at Fowlers Motorcycles in Bristol, I must have been overcome in some way by the smell of polish and new leather saddles (don’t ask!) 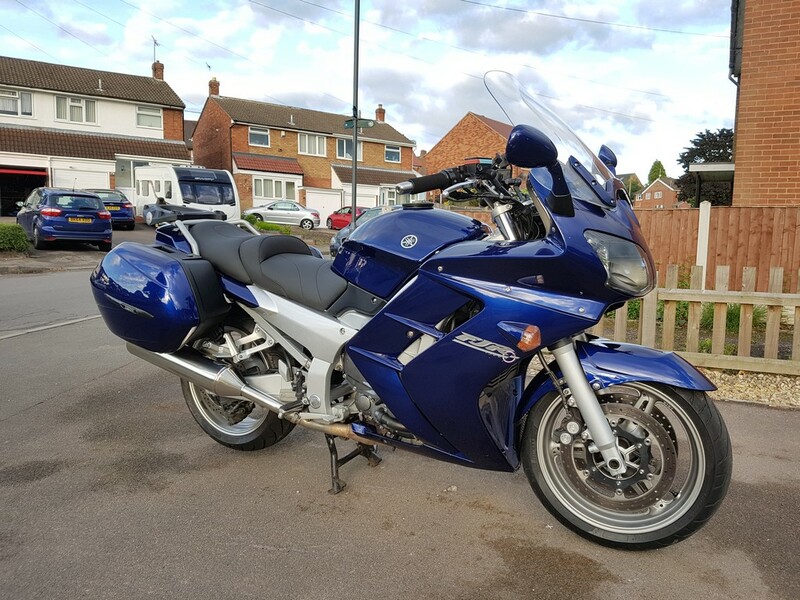 and made the decision that it was time to move on and replace my current bike. 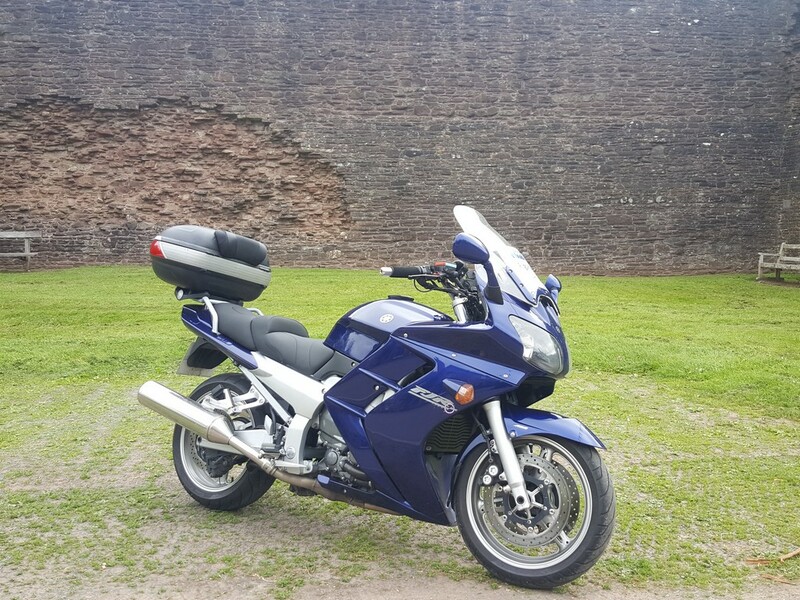 I’d owned my Honda Blackbird for 6 1/2 years and in that time covered over 28,251 miles and even though ‘Flo’ was still a great bike I was starting to ache more and more after long days and high mileages, at least that’s what I told myself. 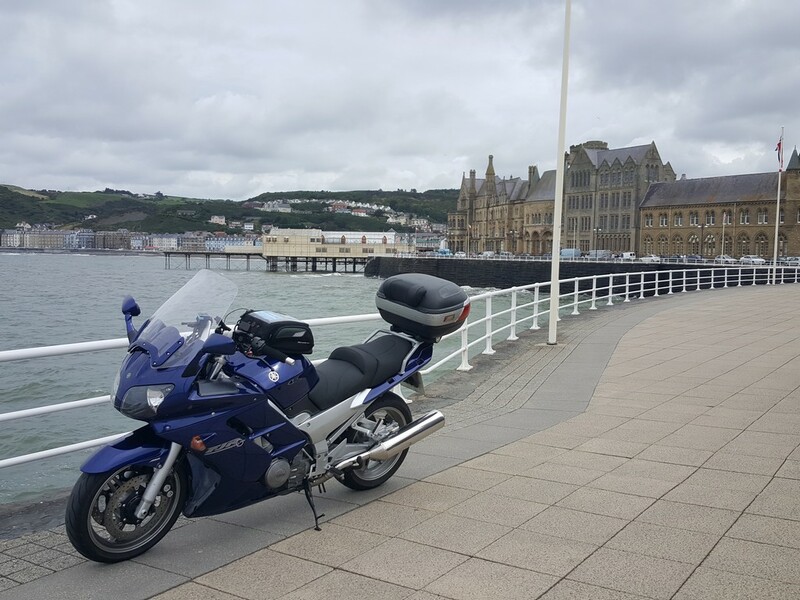 After selling Flo (very quickly via a simple free add-on Gumtree) the search was on for a replacement bike, in the previous few months I had been checking out what else I thought would suit me and my riding style, Bonzo had suggested a and old farts (his words) bike like Hondas Pan European, Bob suggested a Chinese 50cc scooter and I’m not going to say what Windsor suggested as I’m sure that’s still illegal in many parts of England! 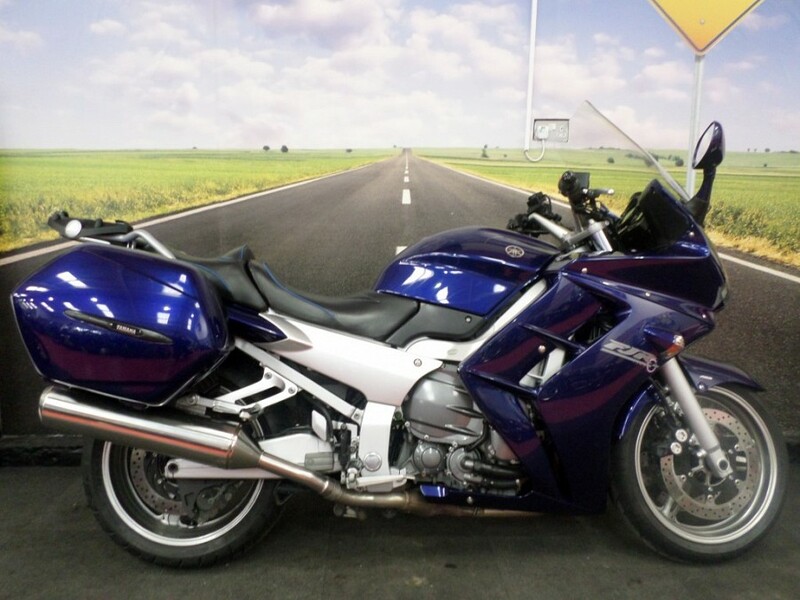 so armed with a duffel bag of cash it was time to see what bikes were for sale at a price I could afford. 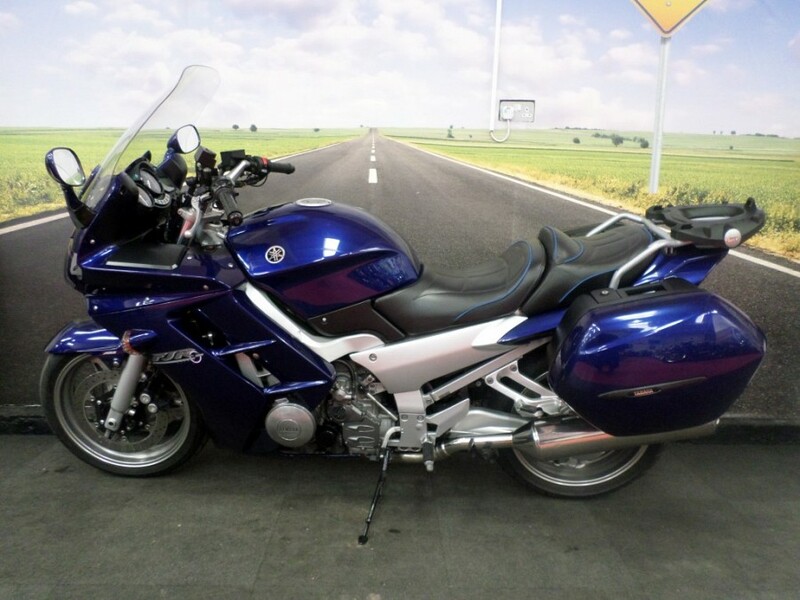 Top of my list was Kawasaki’s Z1000SX but there are a few things that I dislike about the pre-2014 model and as prices for what is in effect a brand new bike my duffel bag wasn’t quite big enough to hold that amount of dinero so I had to scratch that one off my list. 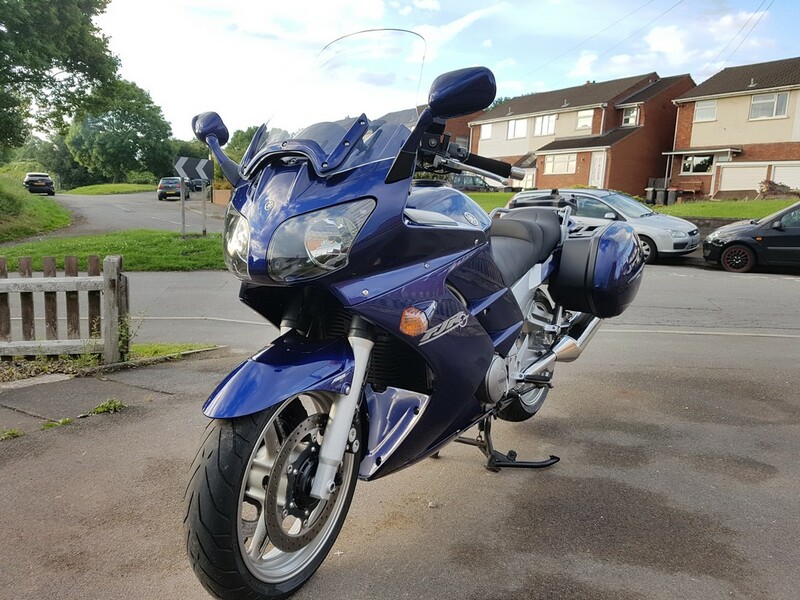 Another bike that took my fancy was another Kawasaki, their mighty GTR1400, but I couldn’t find the right bike at the right price, all the GTR’s I looked at were either low mileage and too expensive or if they were affordable they were either too high a mileage or in poor condition and to be honest (sorry Andy!) 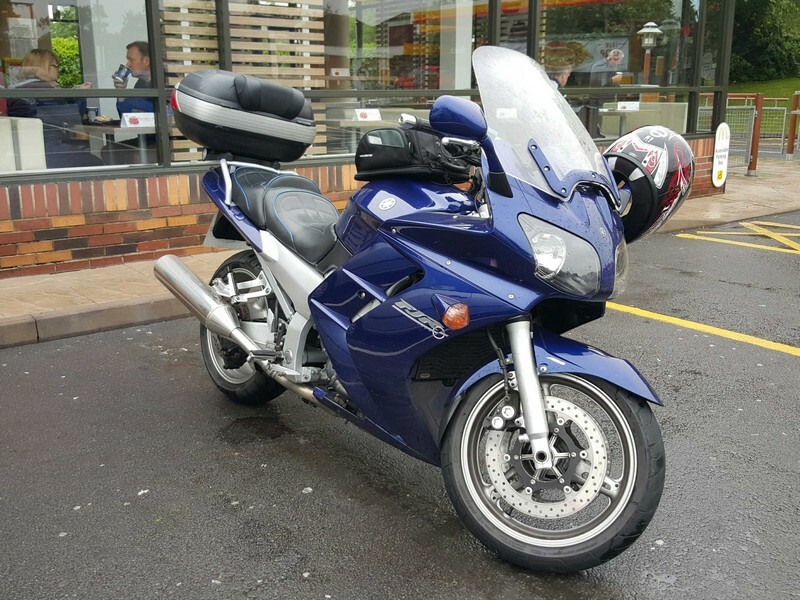 I don’t quite like the styling. 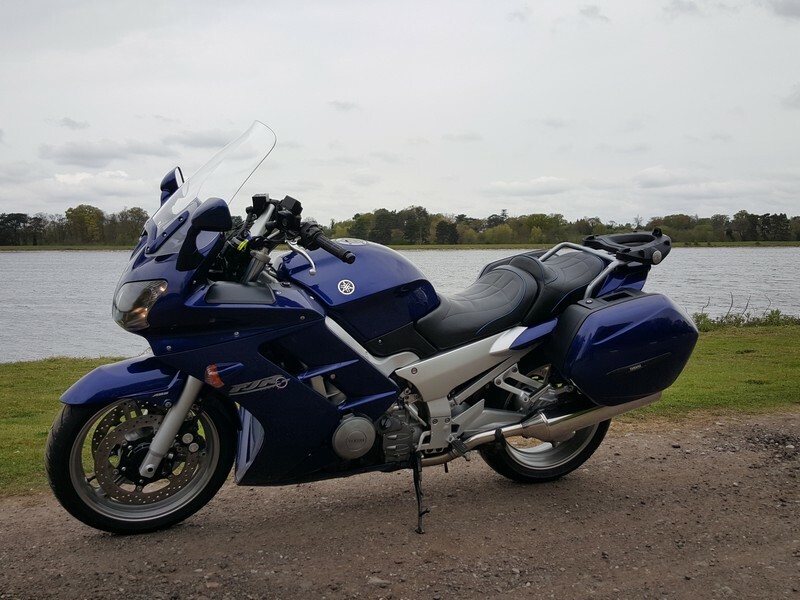 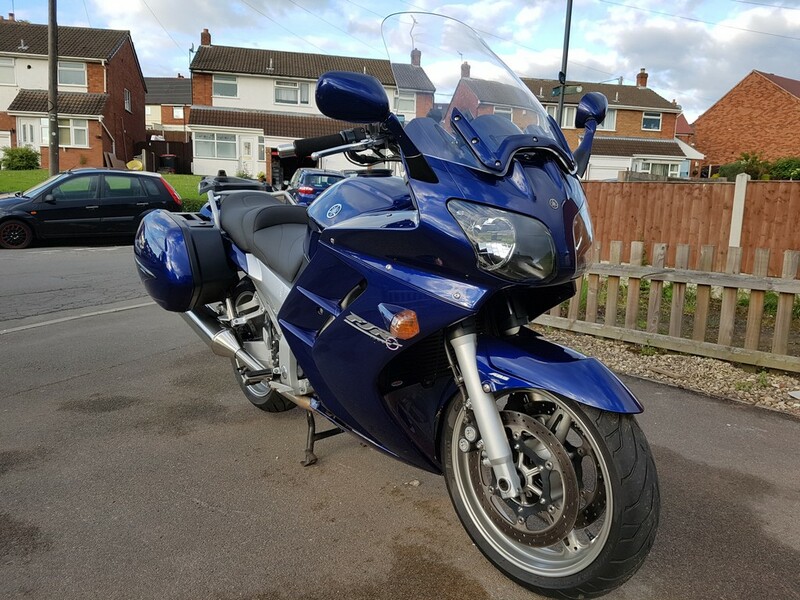 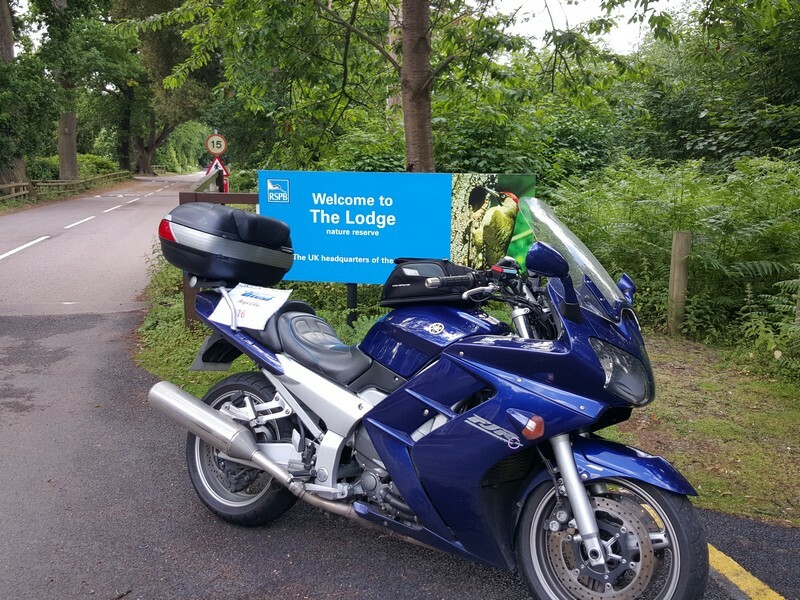 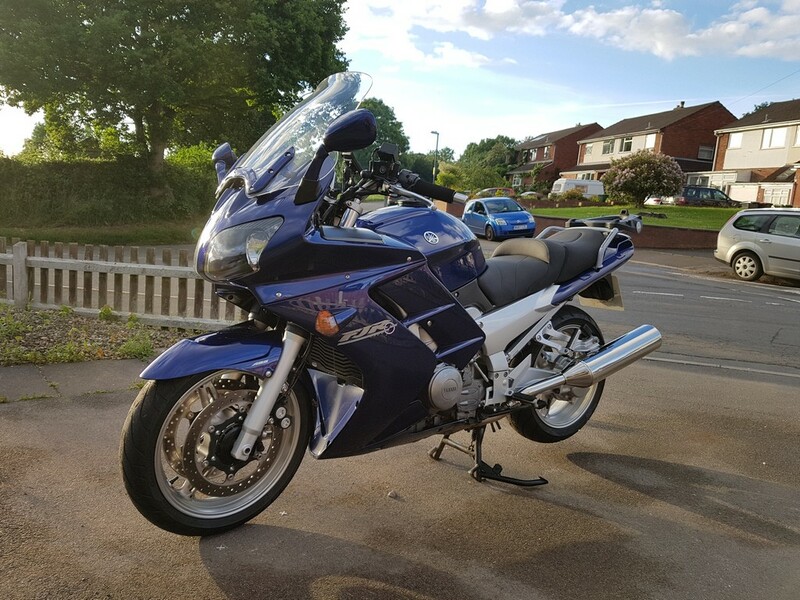 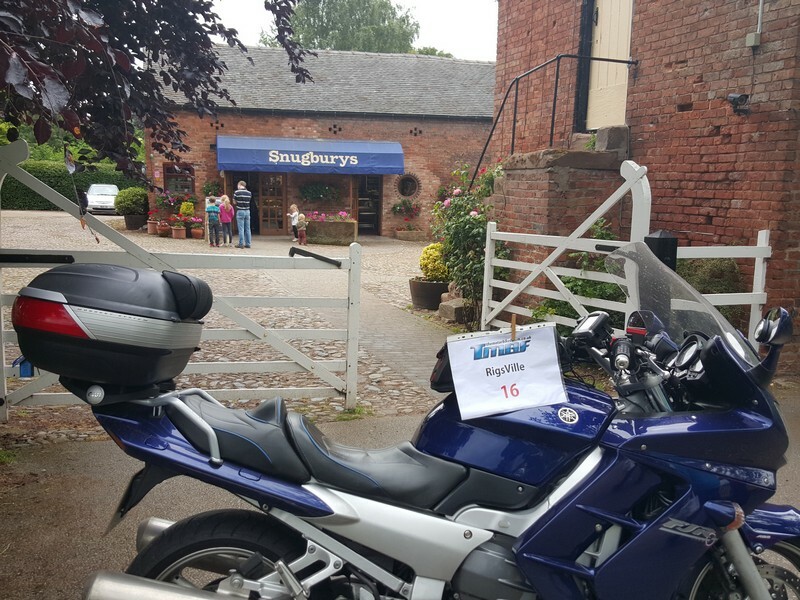 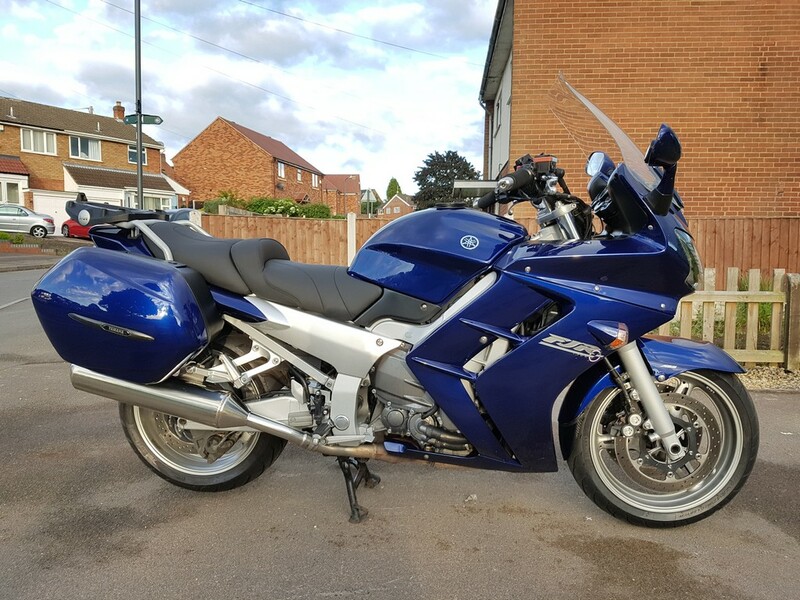 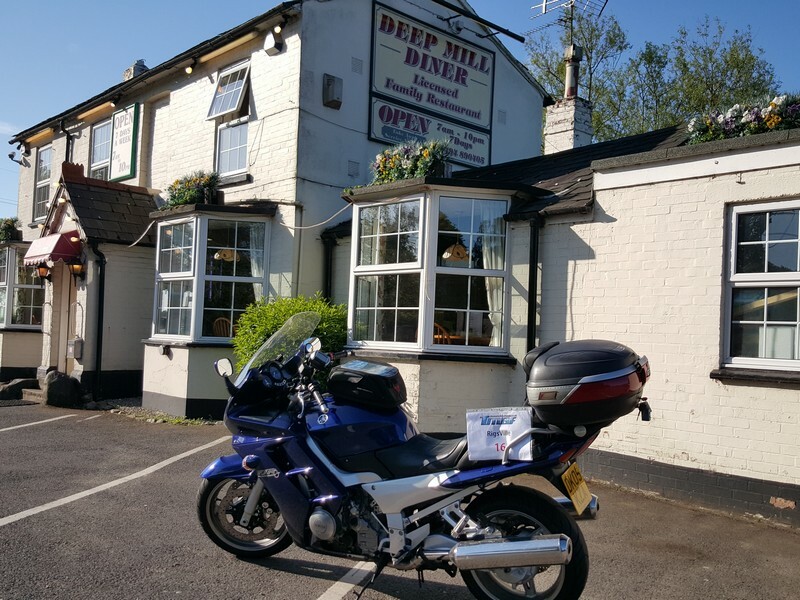 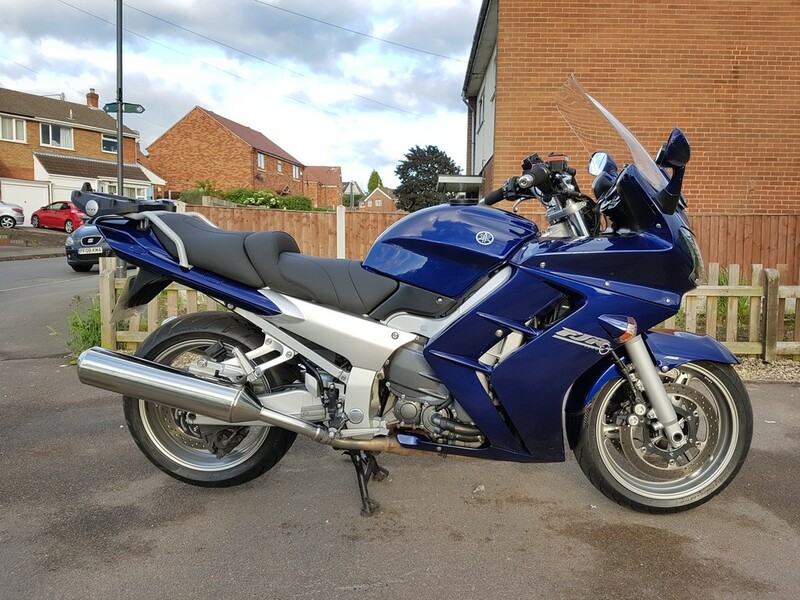 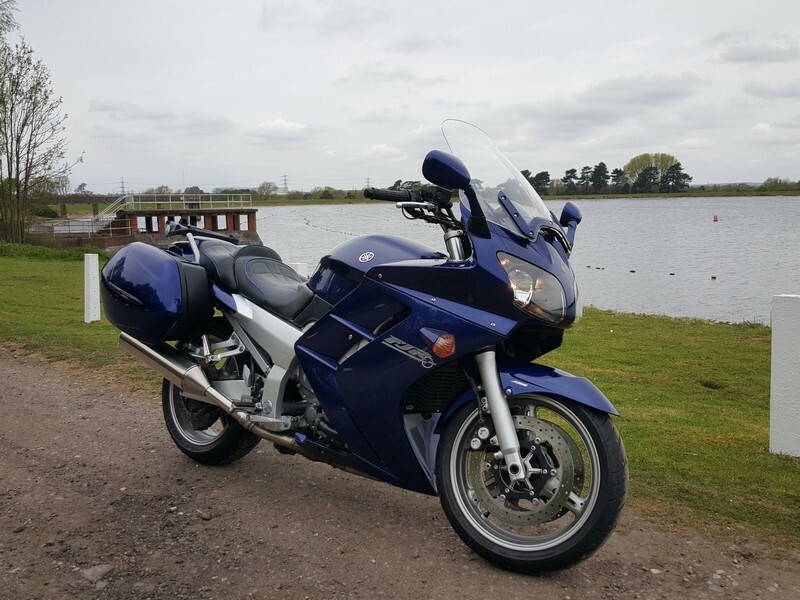 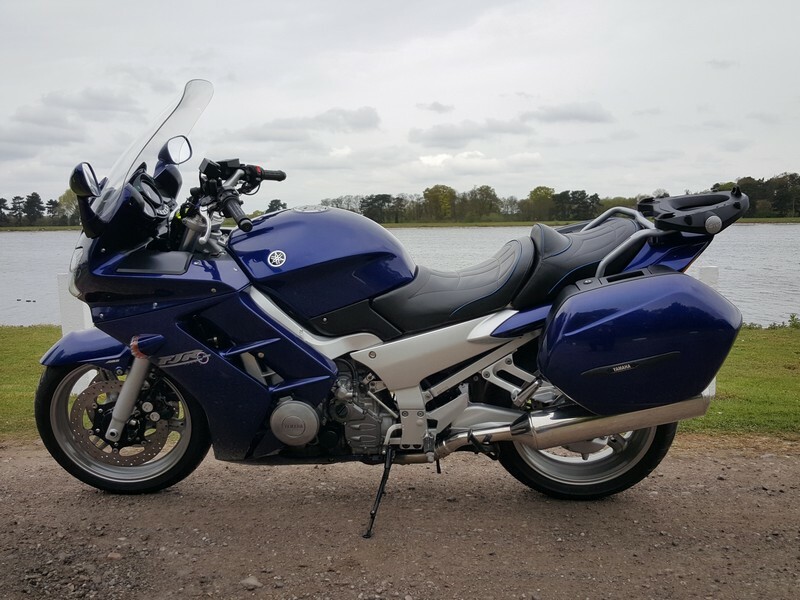 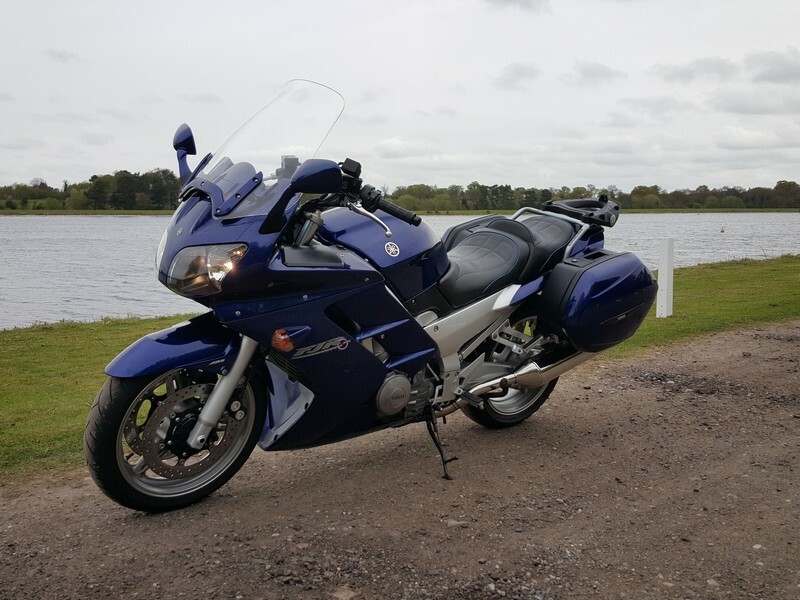 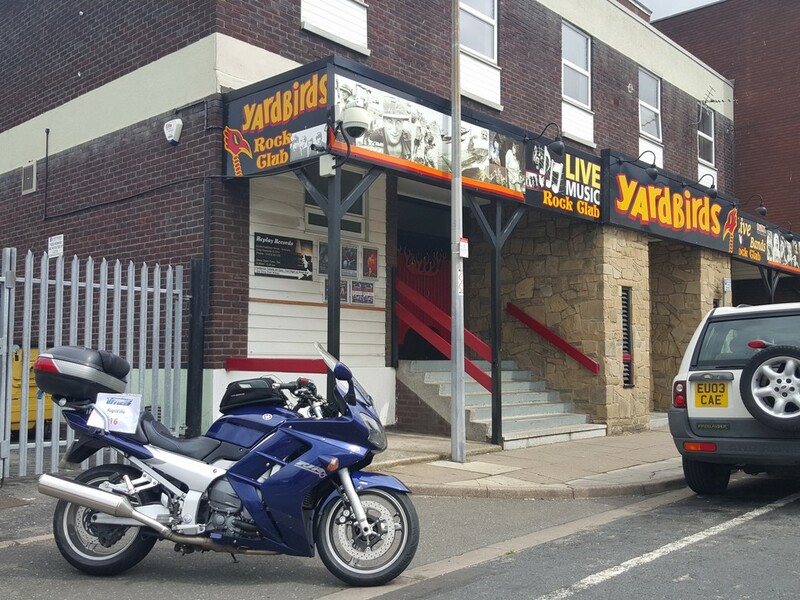 Unfortunately, the day that I picked ‘Jazz’ up from the dealers I had a previous family commitment and I could only ride the bike the 14 miles home but I did manage to get out the following evening and do another 150 miles. 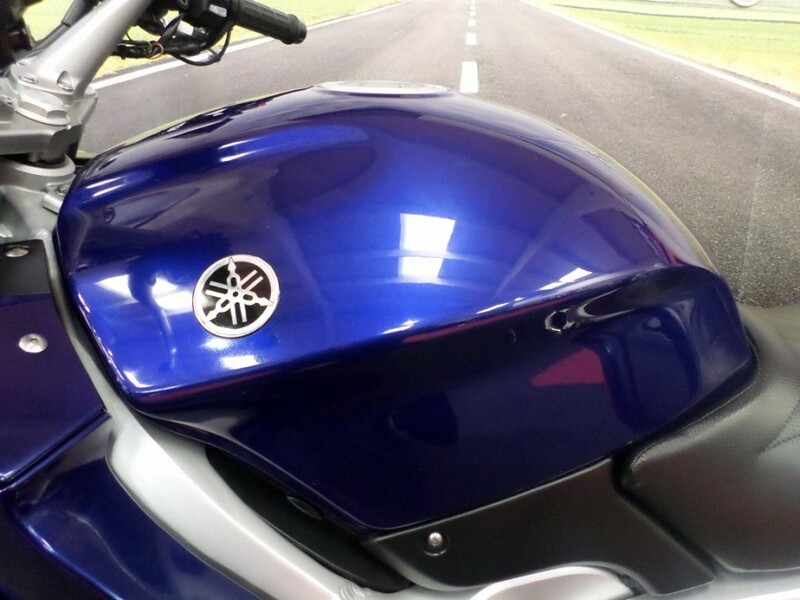 Initial impressions are very positive, it feels like riding an armchair strapped to a rocket! 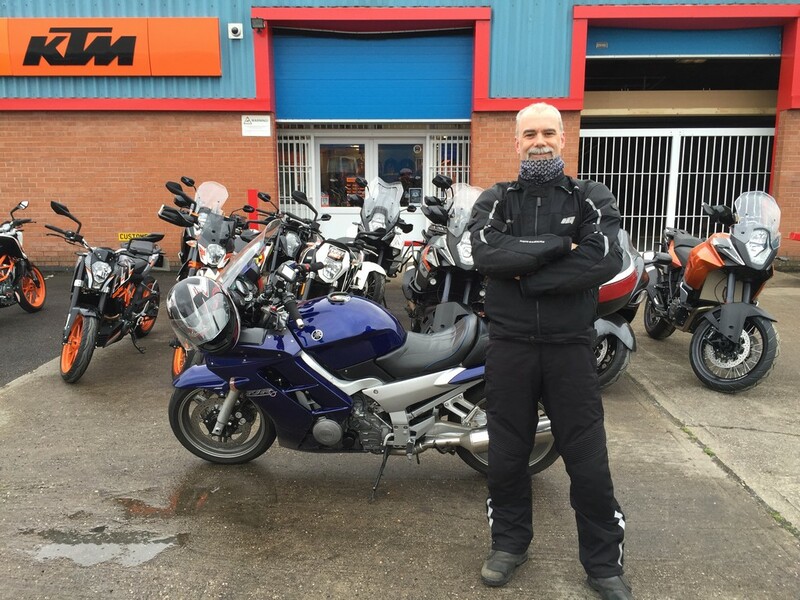 the handling is very neutral, the engine, compared to the mega smooth Blackbird engine is a little more vibey both through the handlebars and footpegs and the wind blast is quite considerable, I’m still playing with the electrically adjustable screen to find the best position but on a whole I am hugely impressed at the comfort, smoothness & power of the FJR. 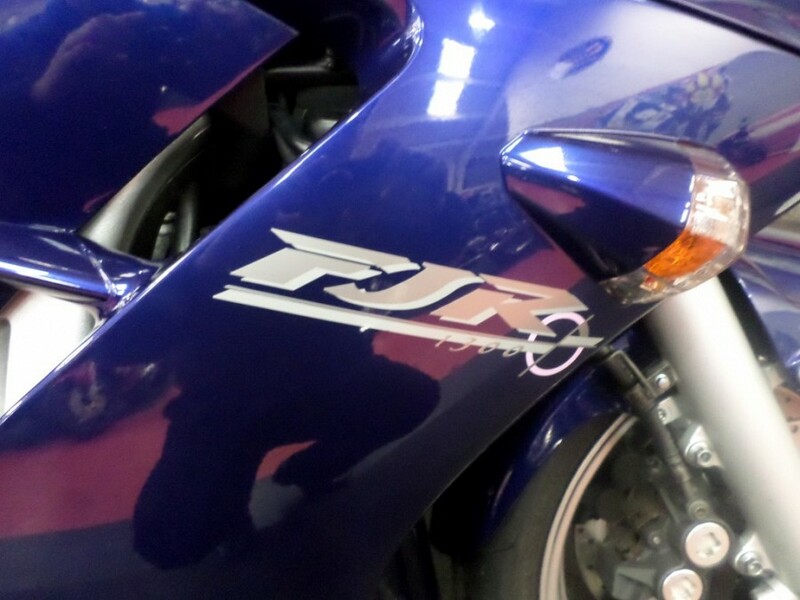 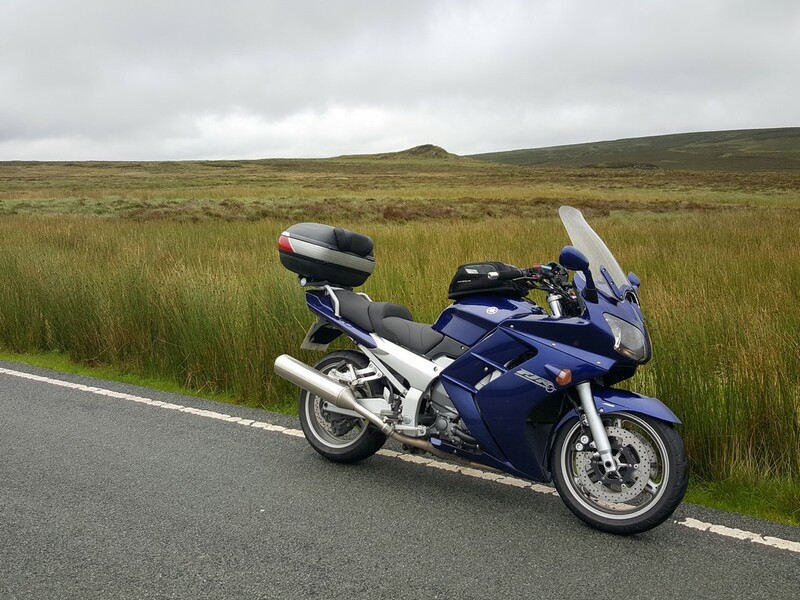 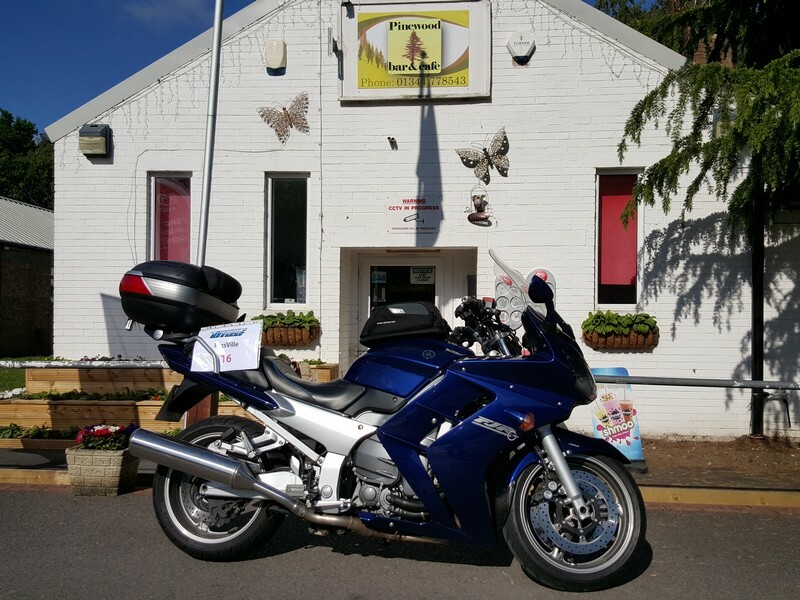 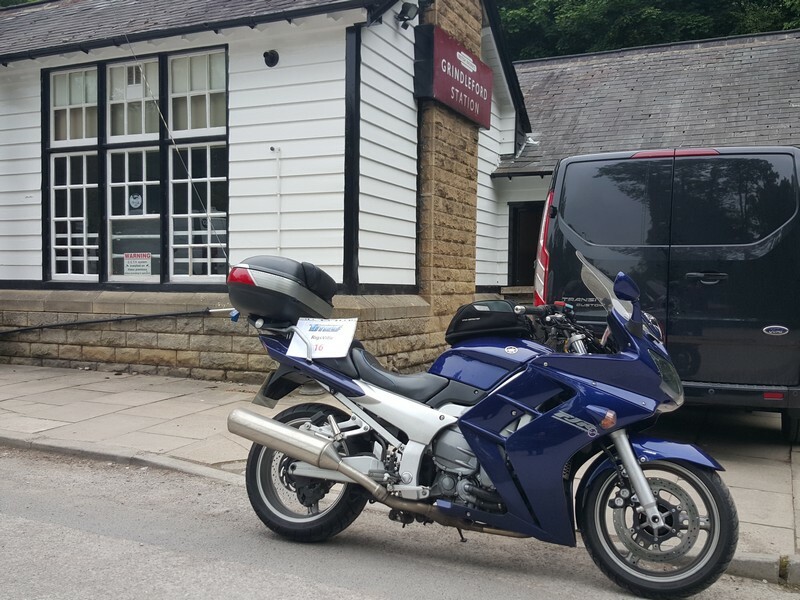 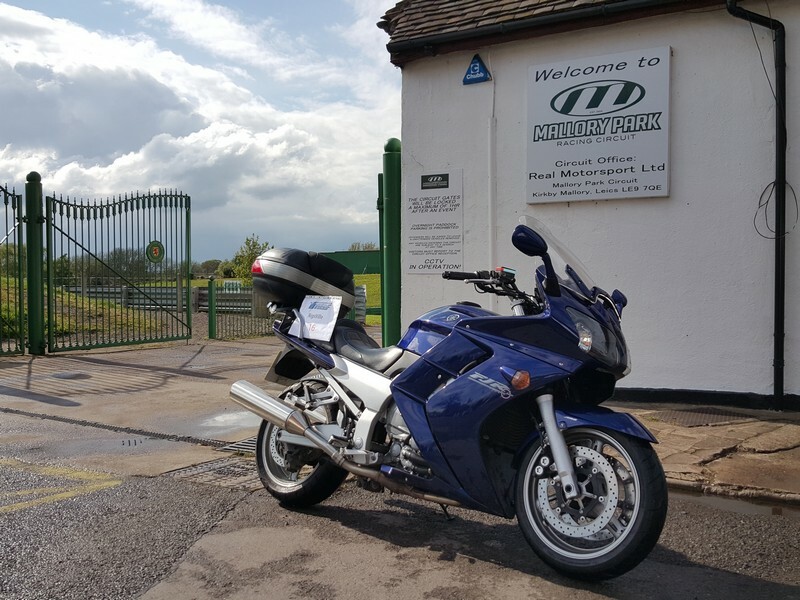 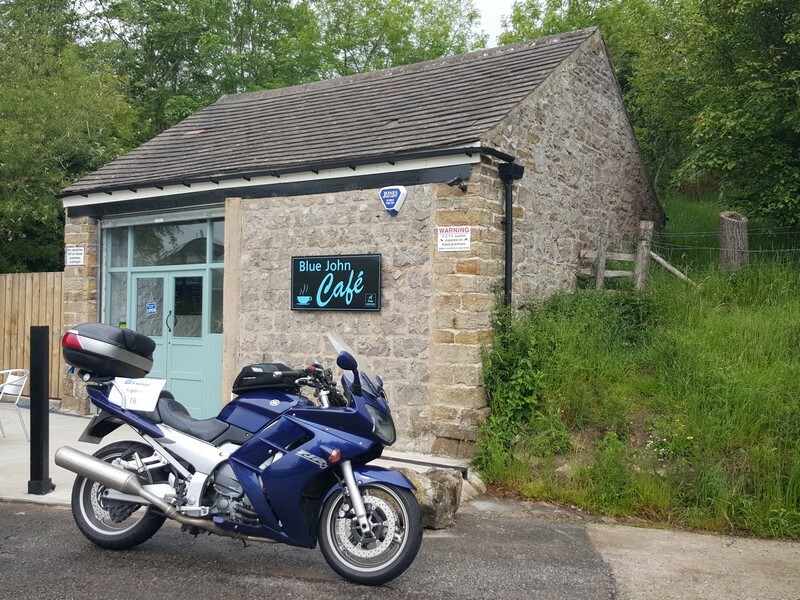 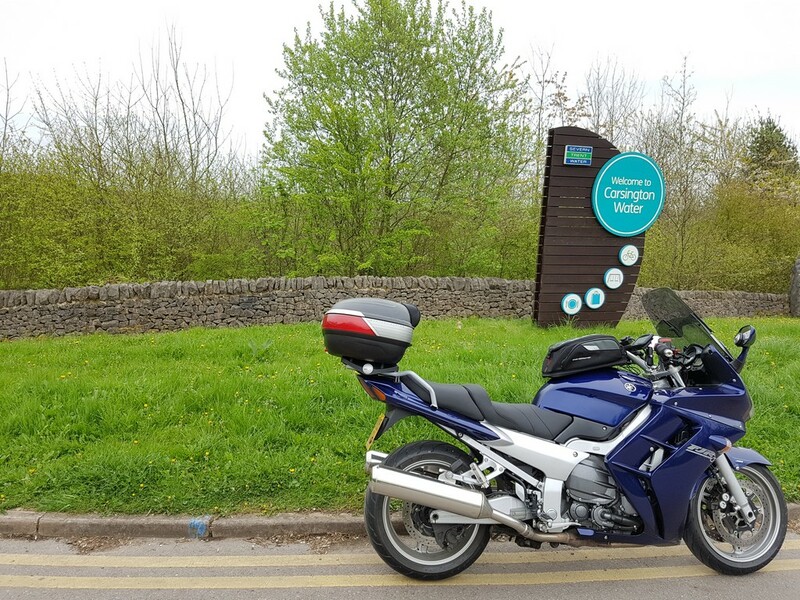 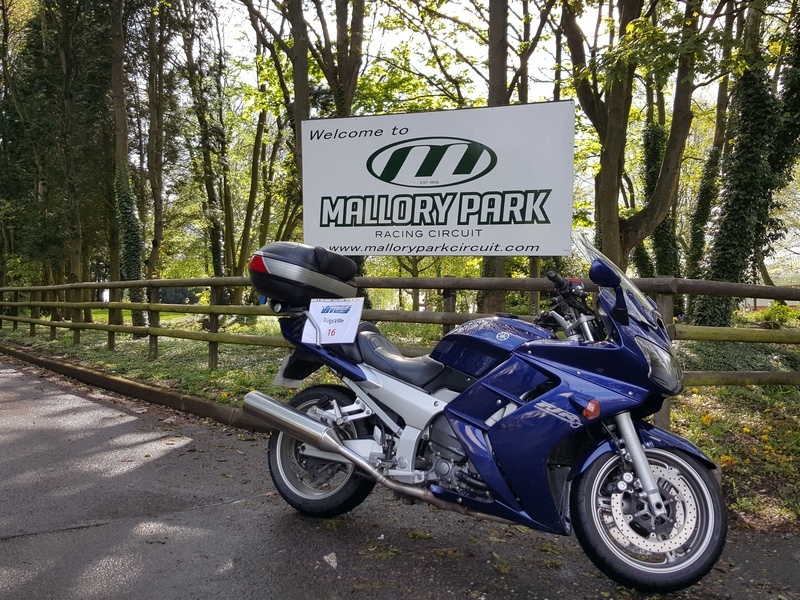 One of the first things I’ve done is to join the FJ Owners Club (they include the FJR as well) benefits include social events, rallies, tours, technical advice, discounted spares and accessories as well as producing a quarterly newsletter. 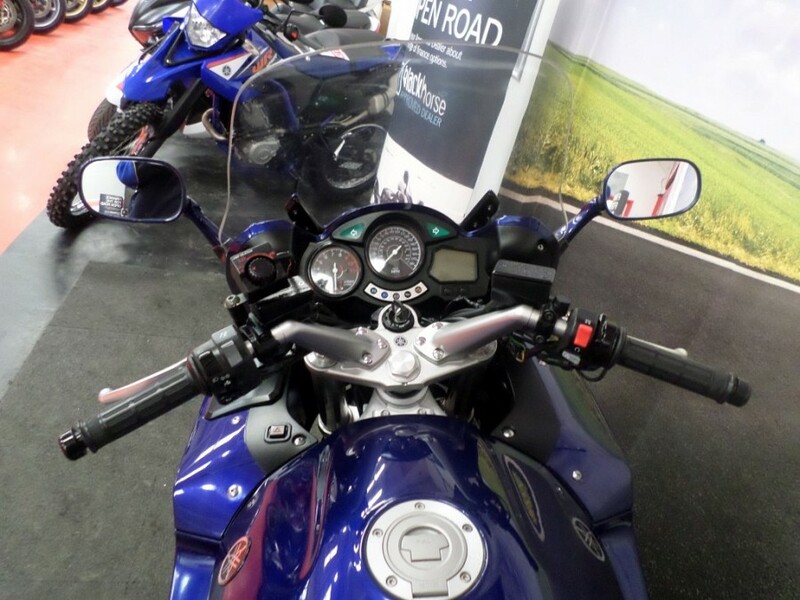 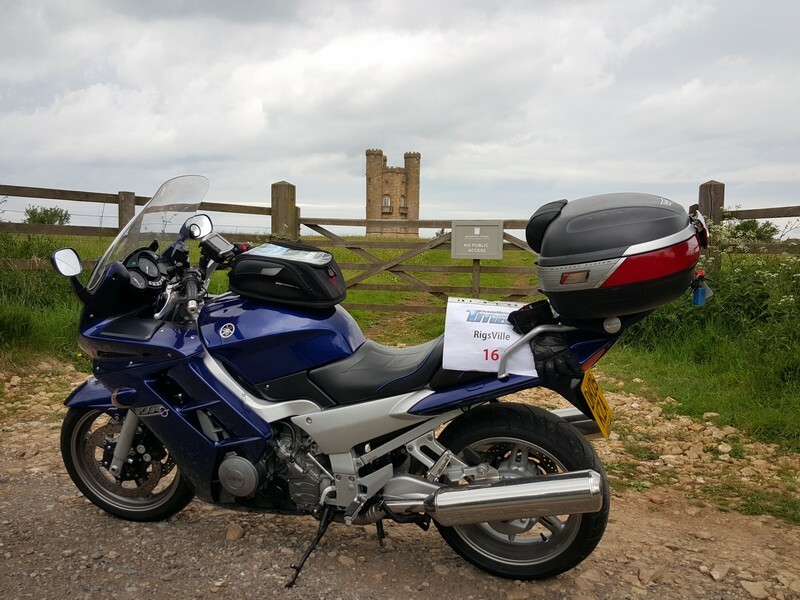 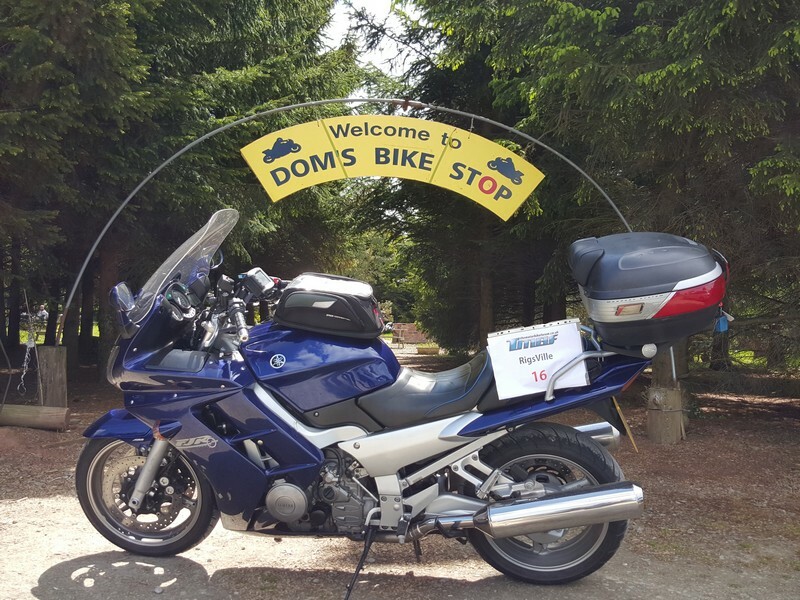 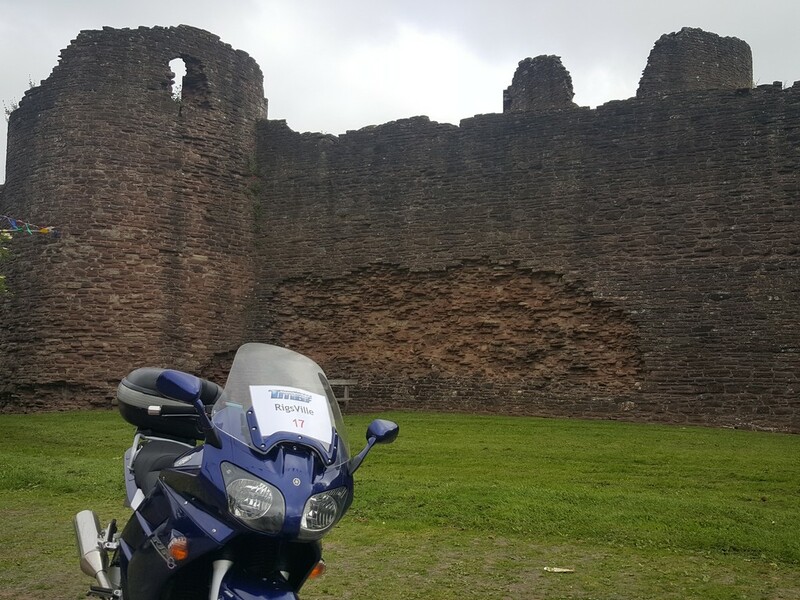 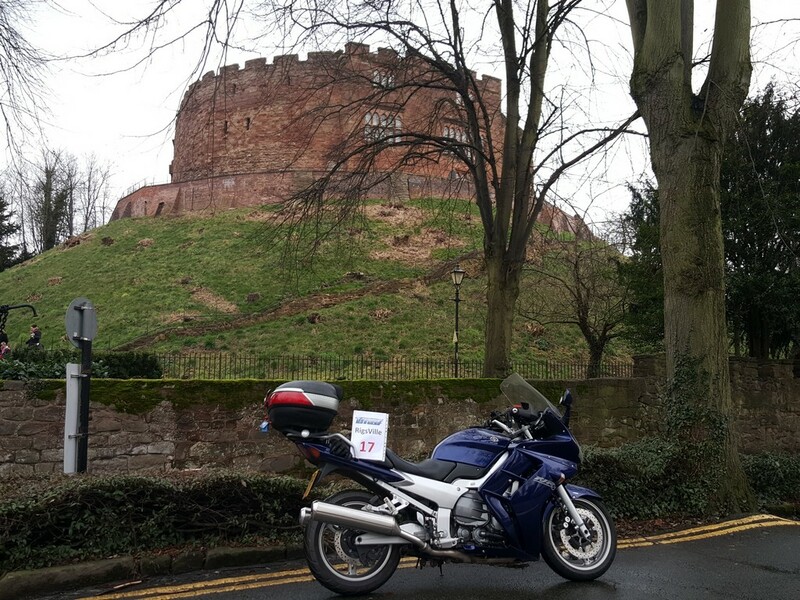 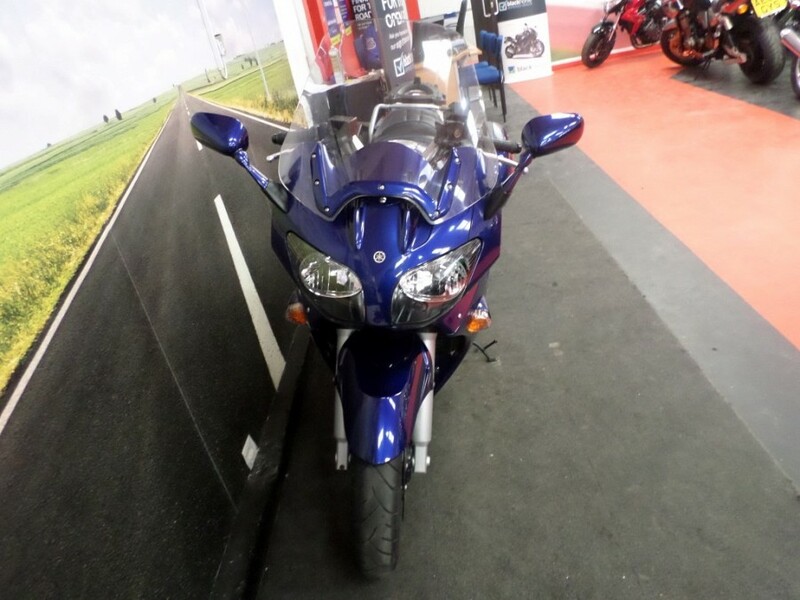 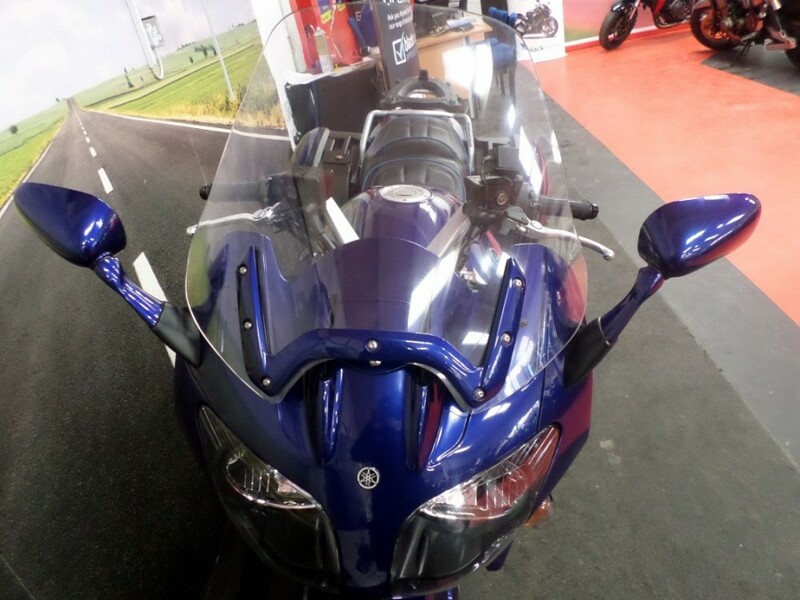 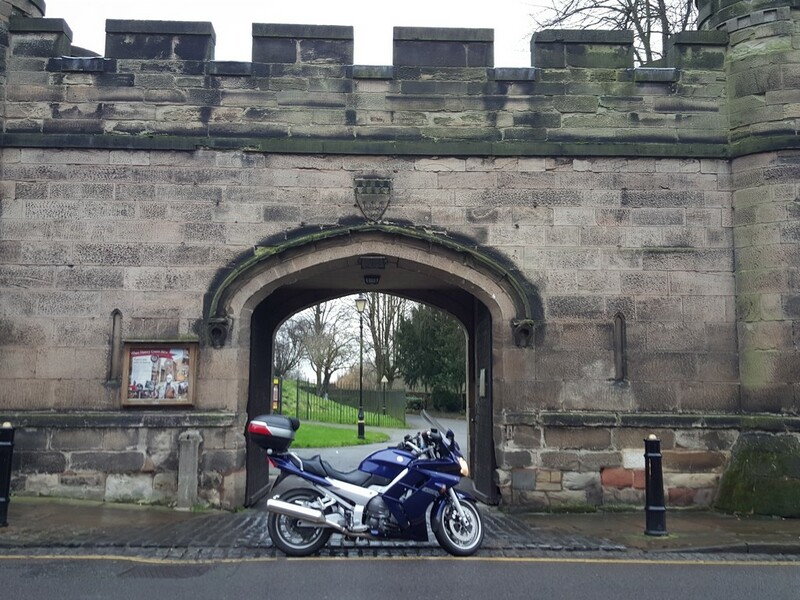 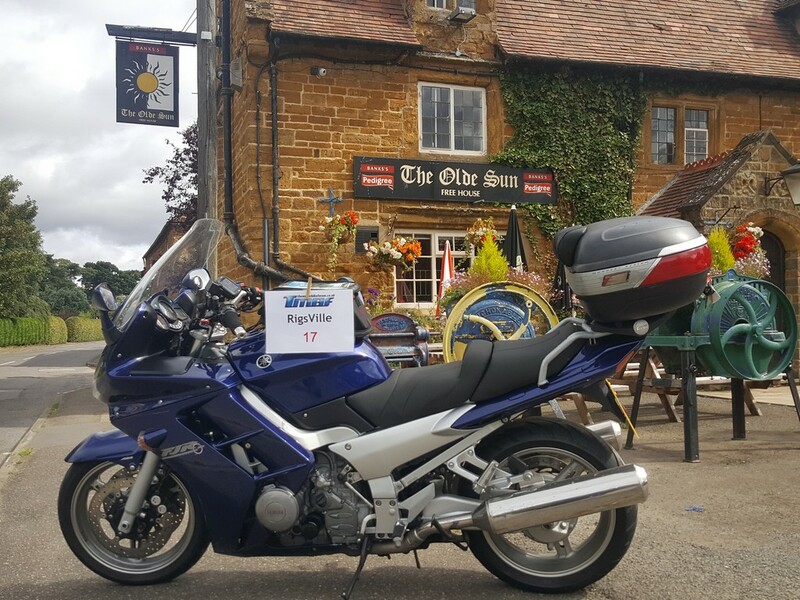 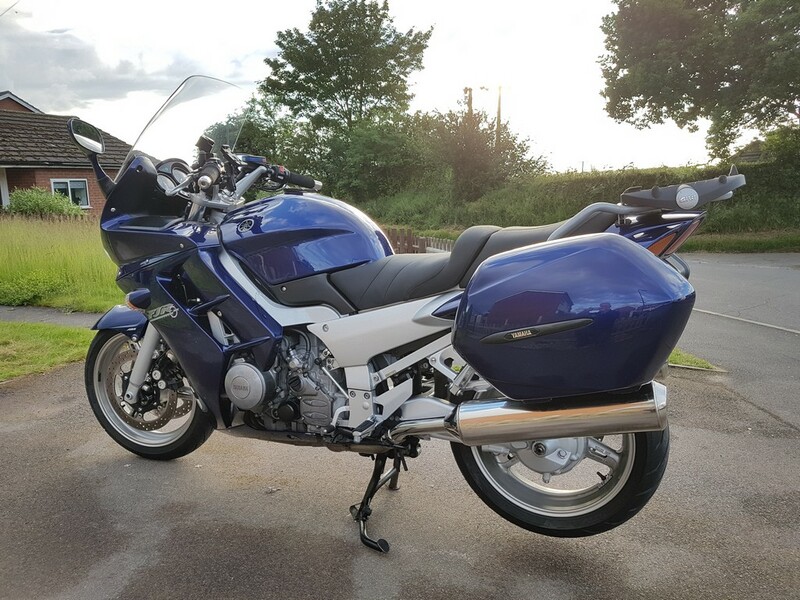 The second thing I did was browse a number of FJ/FJR forums to see what issues other owners had found as well as find some useful tips and tricks, the one that stood out for me was www.fjfjrbiker.co.uk that had the right levels of technical chat and fun loving bikers. 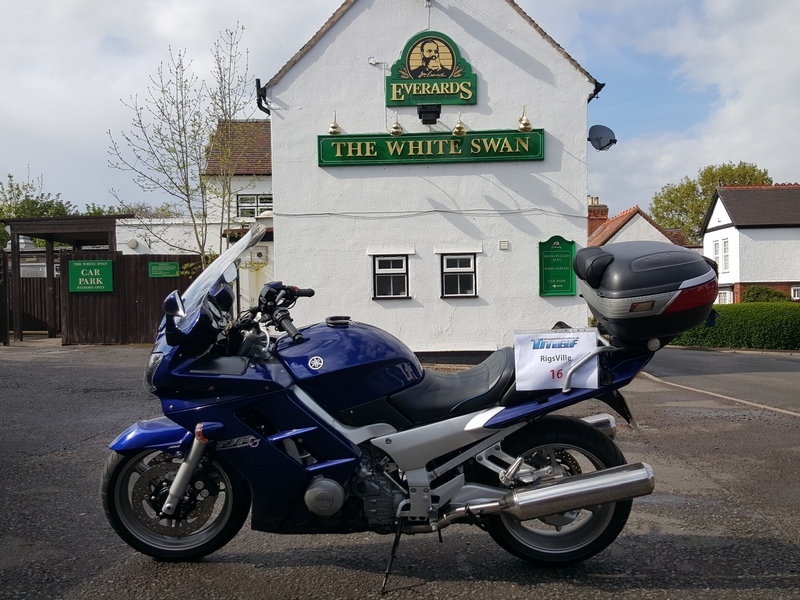 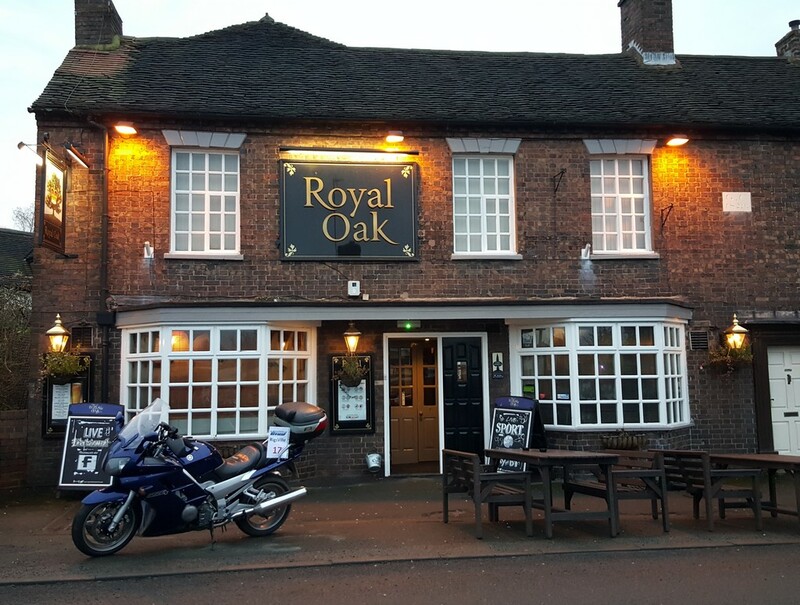 Obviously only having ridden the bike for just over 300 miles, I must say that I’m happy with the changeover, having spent over 6 years fine-tuning the Blackbird to fit my needs and style of riding and the FJR in its current un-farkled form fits me very well, I just need to find time to get out on the road! 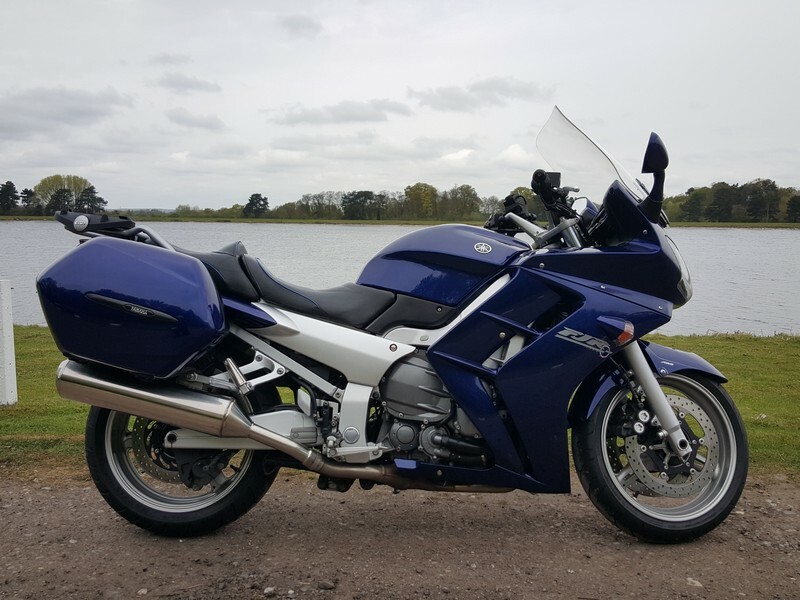 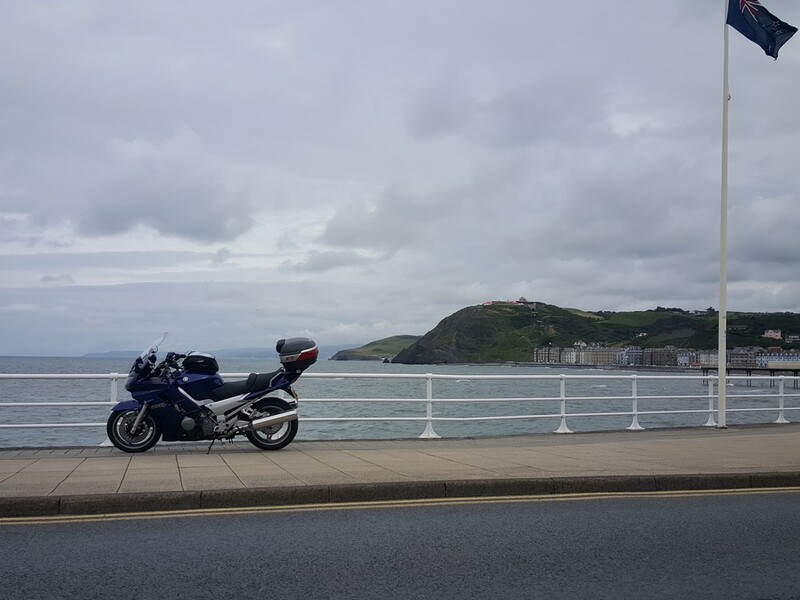 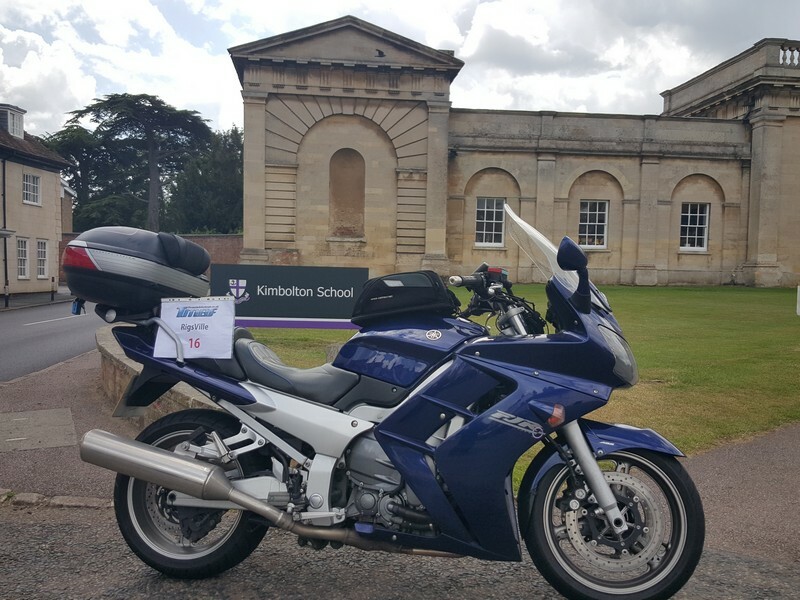 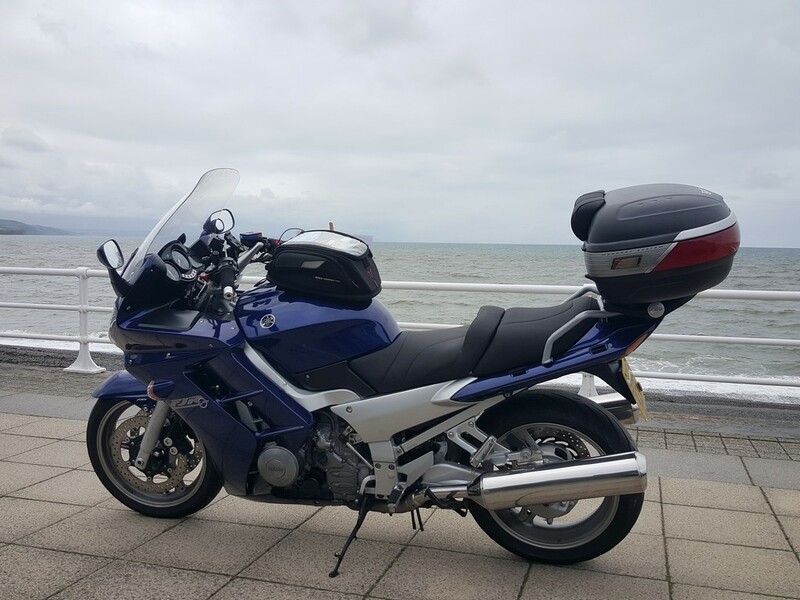 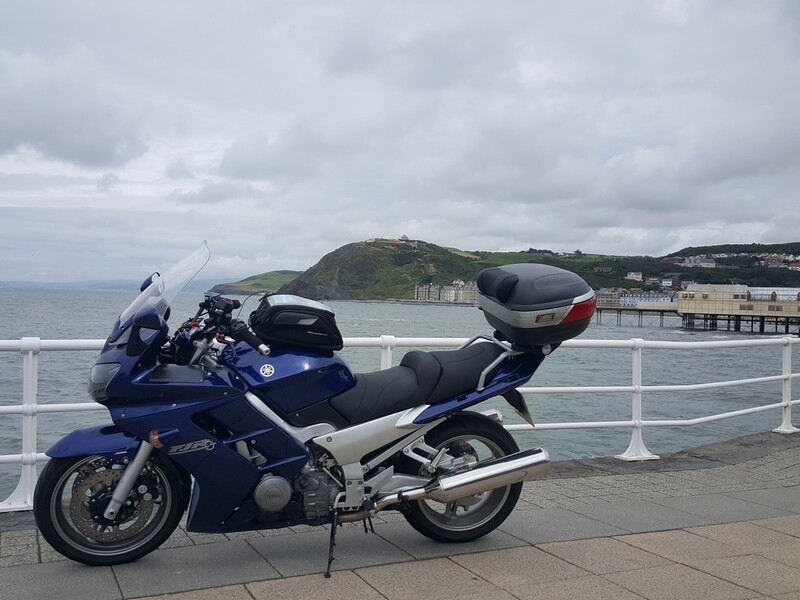 So, after 54 days of ownership and covering 1,400 miles, I thought it would be interesting to write down my current thoughts on the FJR. 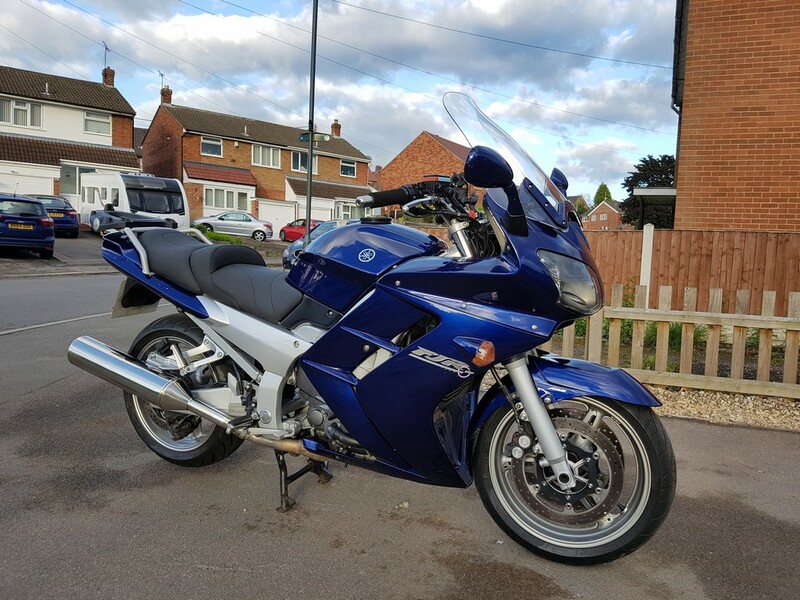 There are a number of issues with the bike but one of the biggest and awkwardly one that can’t be fixed is the lack of a 6th gear! 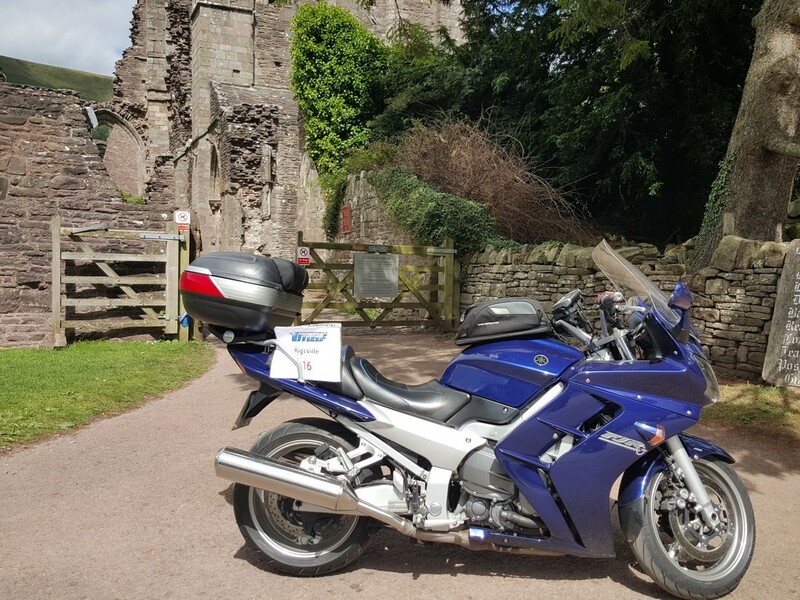 every single time I’m out on the FJR I’m constantly searching for the elusive 6th gear, I know it’s not there, I now know what speed and rev combination means that I’m in top gear (5th for the people who are struggling) but it still doesn’t stop me from prodding the gear lever just in case the Yamaha Pixies have visited in the last 30 seconds and installed a magical 6th gear. 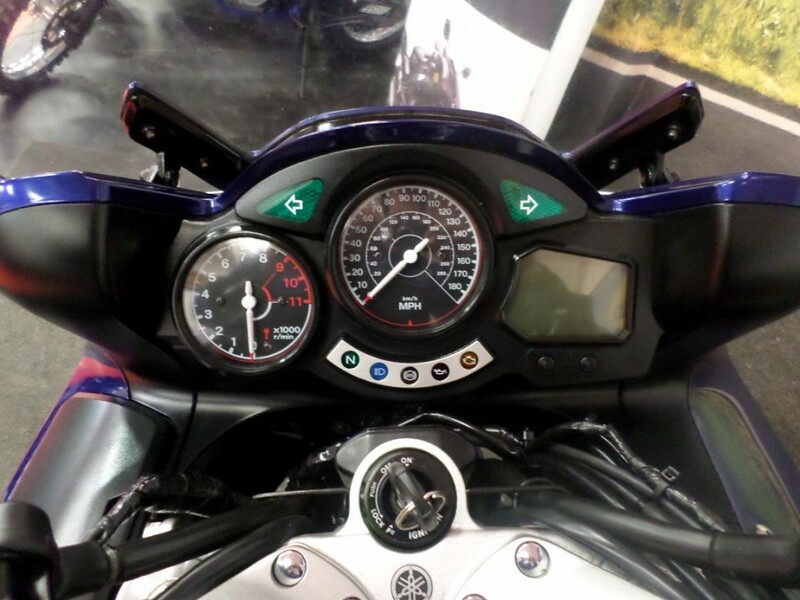 I know I can get a digital gear indicator such as Datatool’s Digi Gear Indicator or a GIpro but that involves money, fitting and then remembering to look at it before poking the lever! 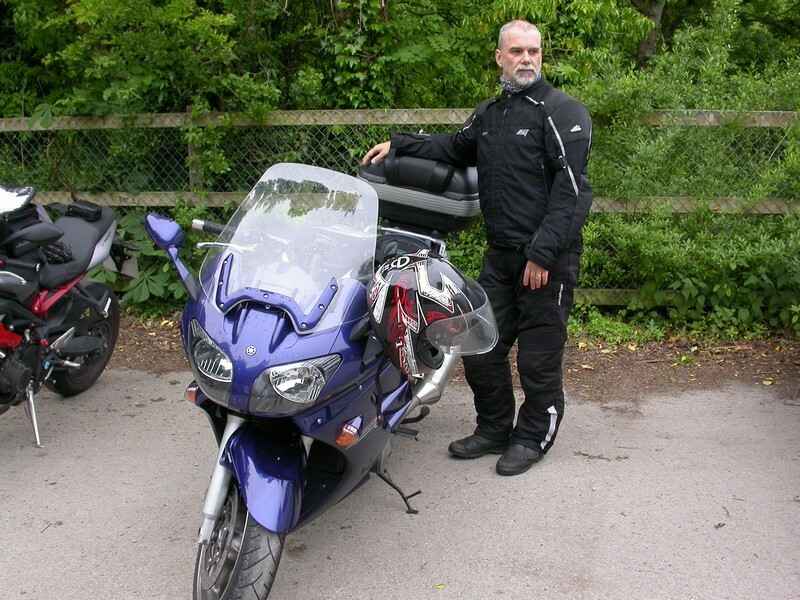 The other niggly issue I have is the amount of vibration I’m feeling from the handlebars and footpegs, even after fitting heavier aftermarket bar end weights my hands are going numb after 40 or 50 motorway miles, looking at the owners forums reveals that balancing the throttle bodies would be the first step to cut down on these vibrations. 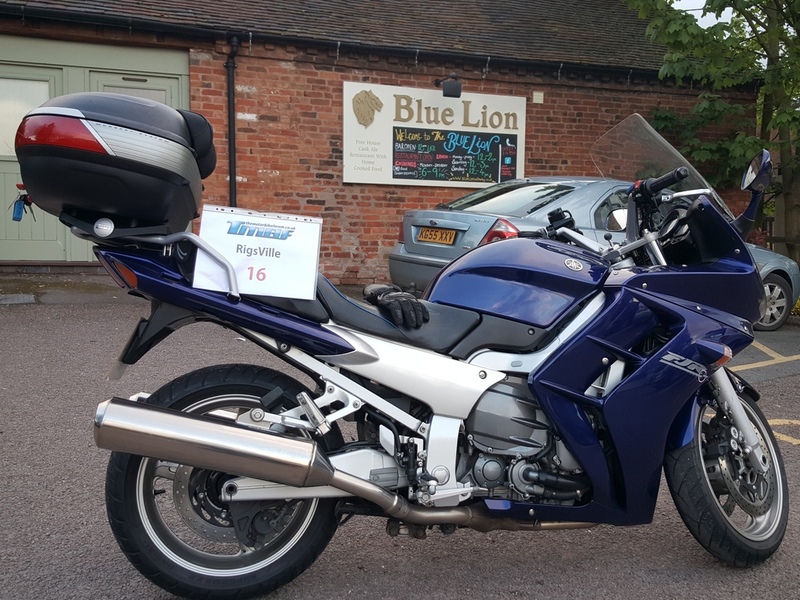 It’s a relatively easy job to do with a set of Carbtune II’s from Morgan, ironically I sold my previous set about 2 years ago so I will have to decide to purchase a new set or have the Owners Club perform the job for me when I take the bike to be serviced. 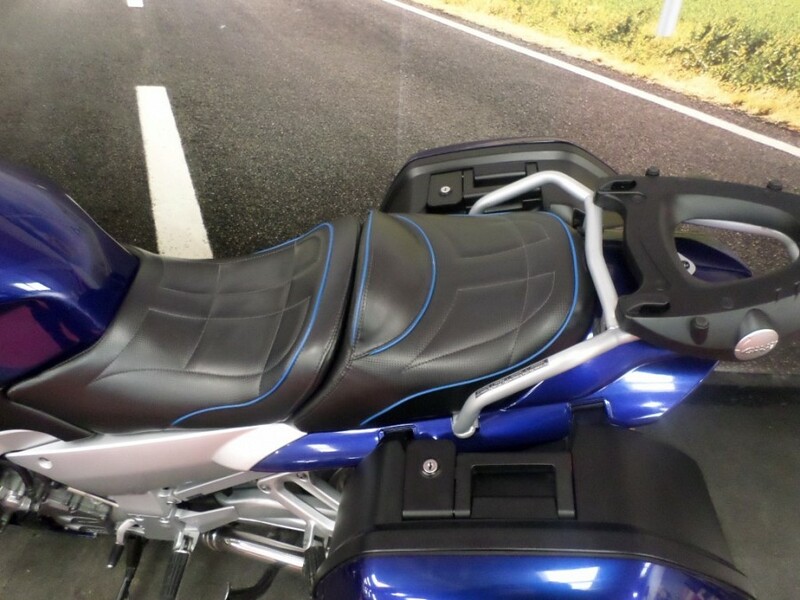 The other common fix is to install a set of Grip Puppies, these are a fancy kind of foam grip that goes over the existing grips and helps to dampen the vibration and at around £14 they seem a cheap solution. 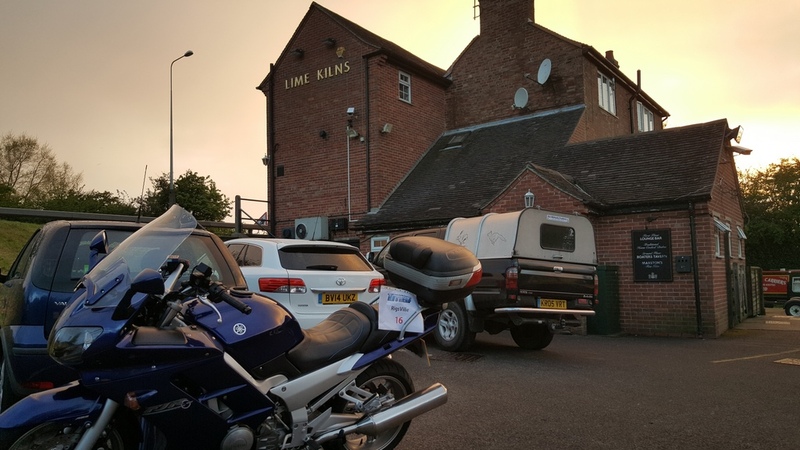 Just nipped into Wheel House Tyres in Coleshill as my rear tyre was getting a little worn and had a pair of Pirelli Angel GT’s fitted and I’m very impressed with the difference in the way they feel. 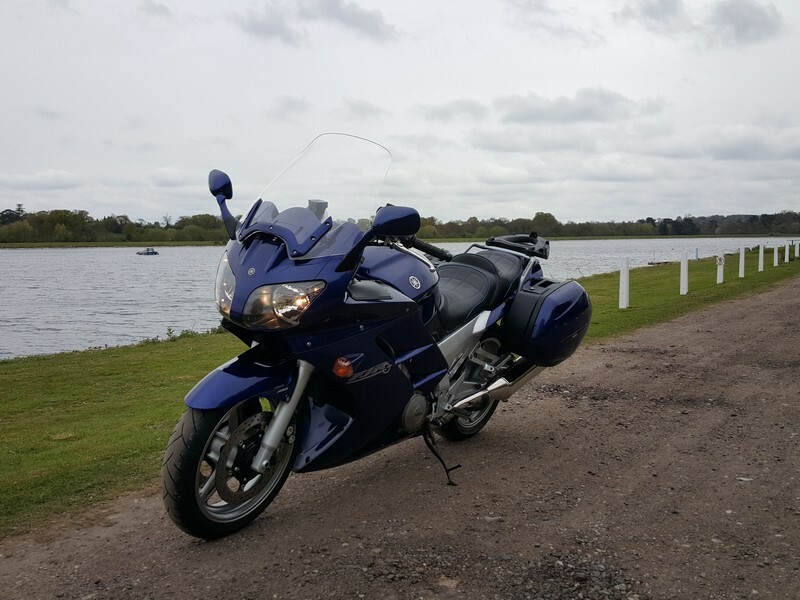 Christmas has been and gone and one of the many pleasant gifts I was given was a set of Grip Puppies to help reduce the vibrations while riding at, err motorway speeds. 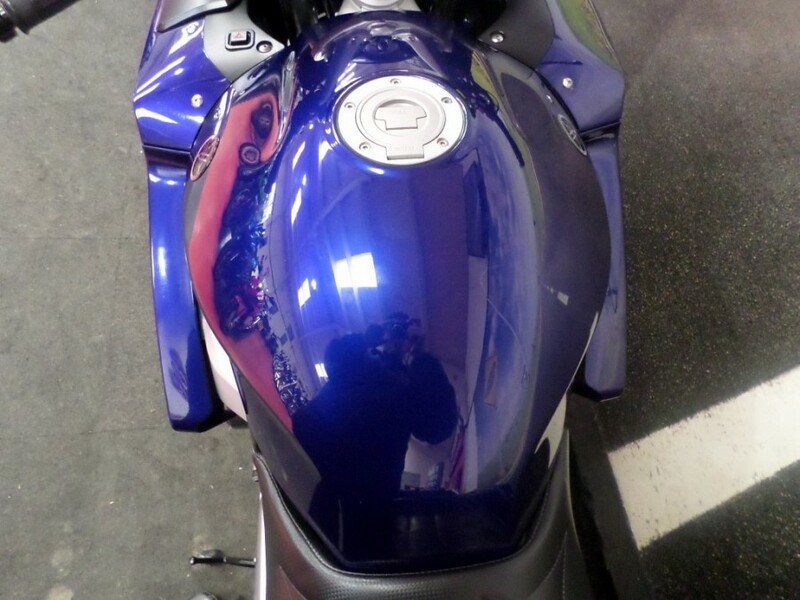 Installation was nice and easy especially after watching this YouTube video and while they haven’t removed all the vibrations, they have removed the majority of them and the bike now feels much smoother at 70mph. 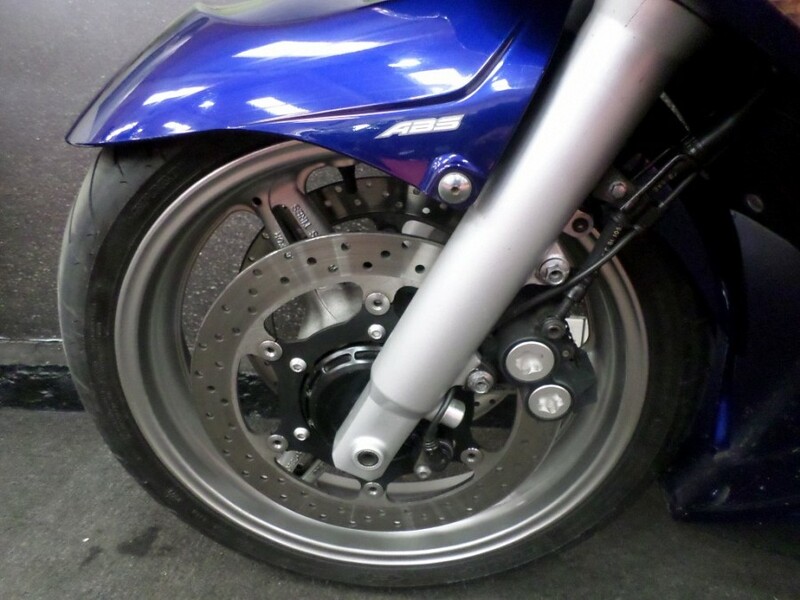 The other issue I had to do with handlebar vibration has almost been completely cured by fitting a set of Grip Puppies. 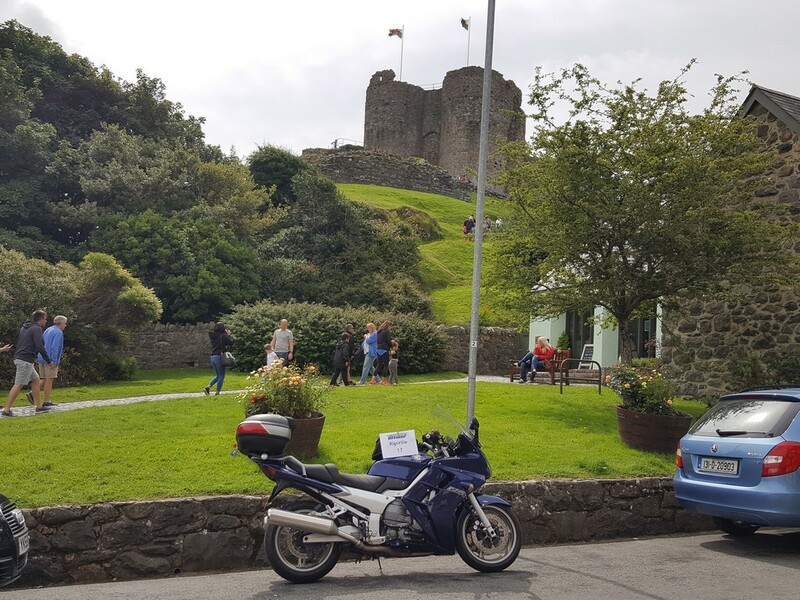 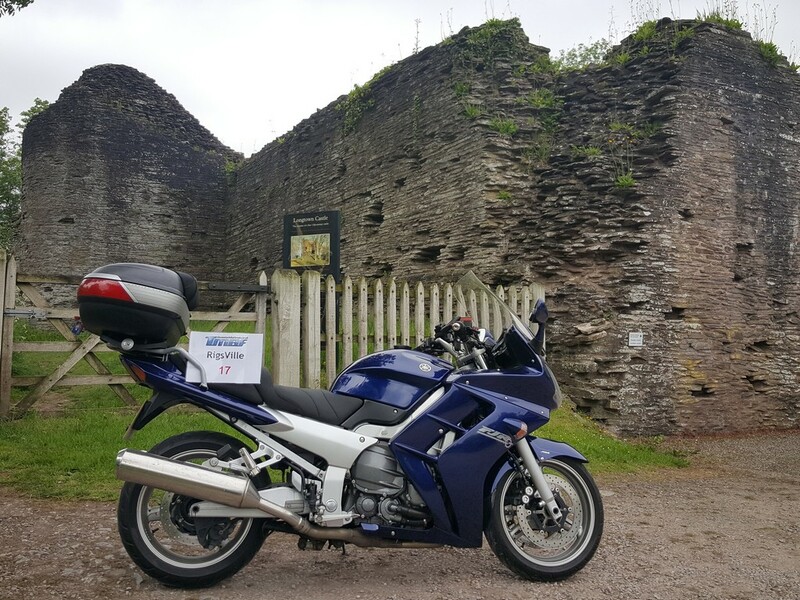 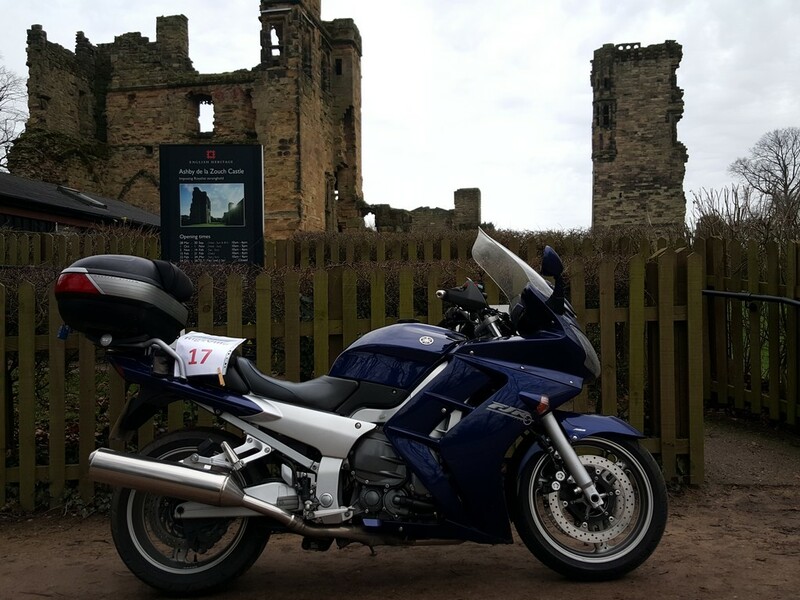 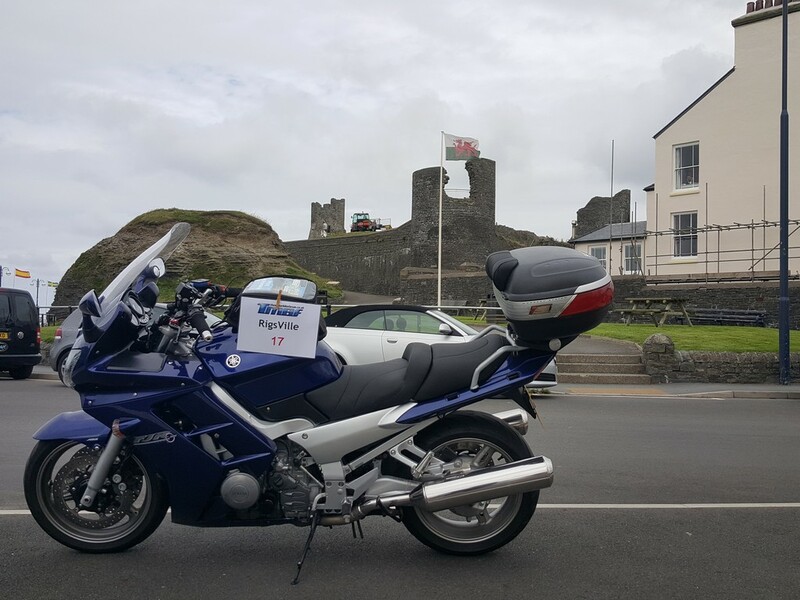 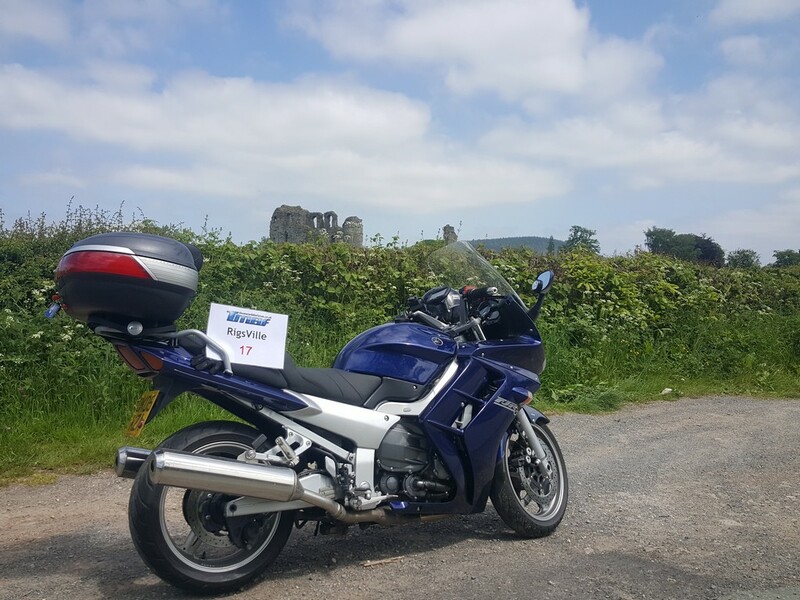 The FJR1300 has been a bike that has taken me a long time to get used to, the engine is amazing, it’s very comfortable and just a joy to ride, OK it’s not as nimble as my old Honda Blackbird, which in itself isn’t exactly in the same league as a Yamaha R1, the FJR does need more forward planning when the roads get twisty but it’s also a great bike to ride on the way to and from the twisty bits. 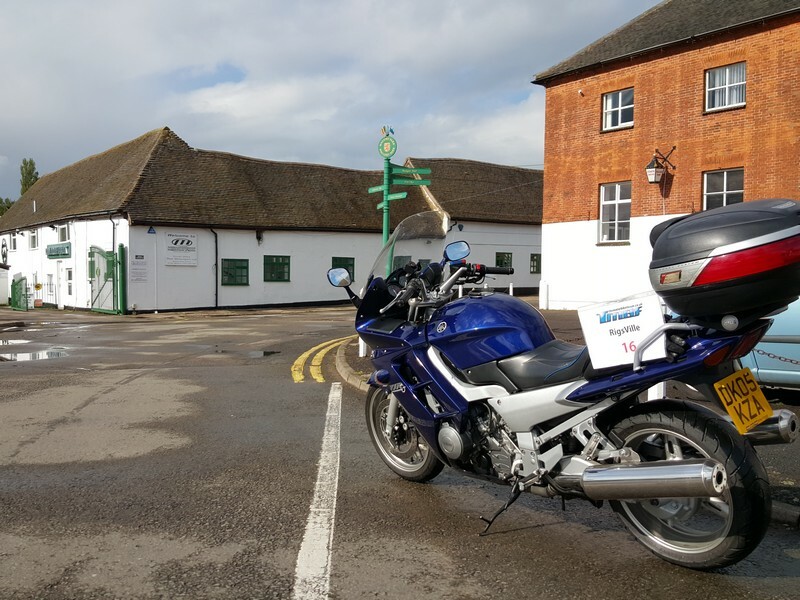 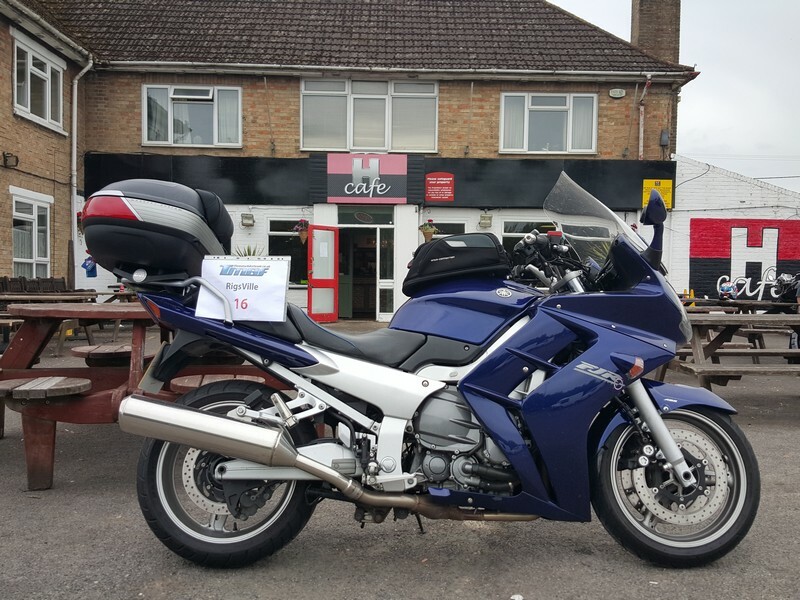 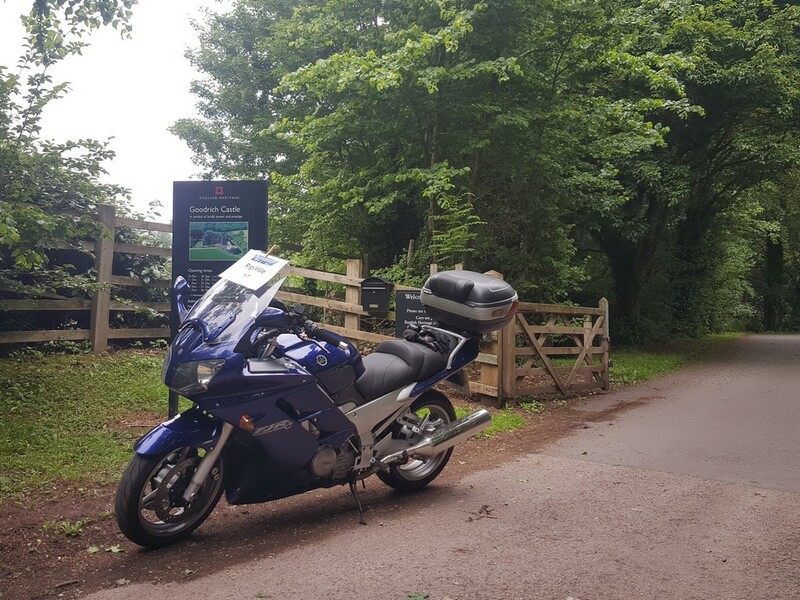 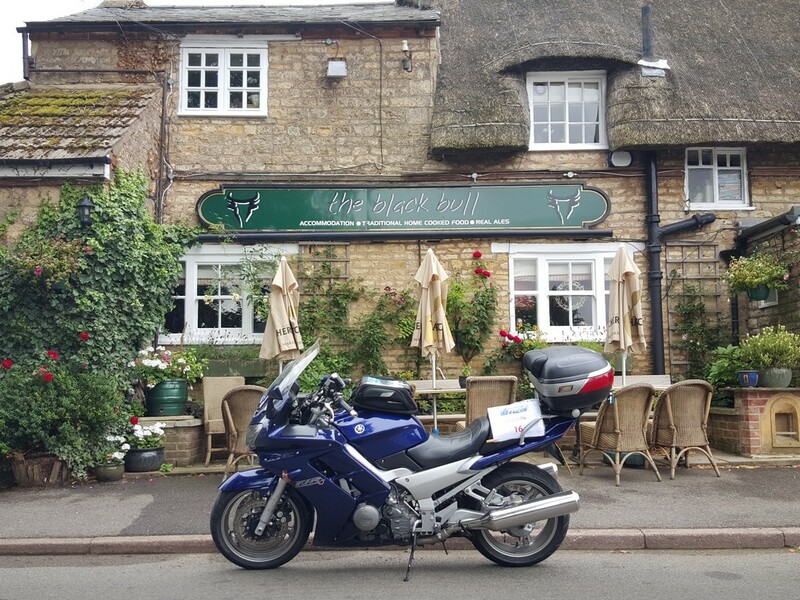 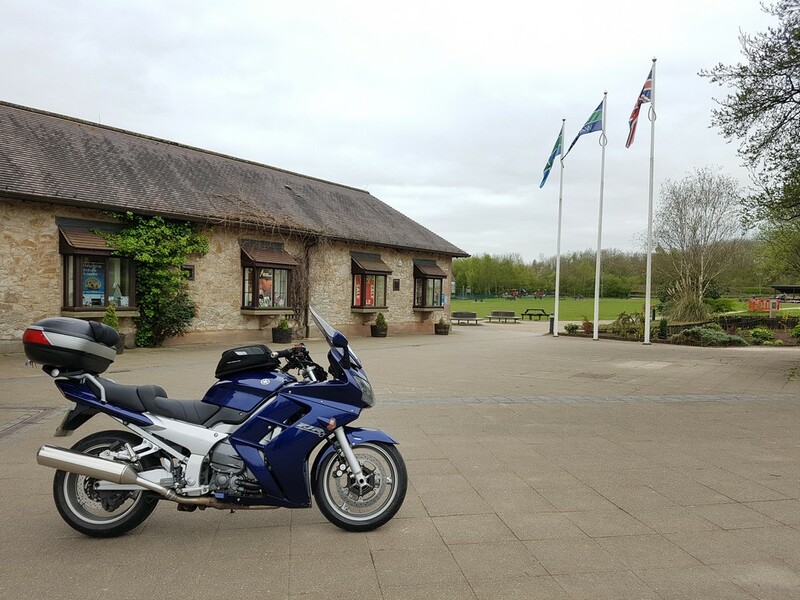 February 2017 and the FJR is well overdue for its 24,000 mile service, I did originally have it booked in for this service at the FJ Owners Club workshop near Cromhall in South Gloucestershire but due to changes at work I had to cancel as I couldn’t get the day off, luckily I remembered that I work not too far away from Alf England Motorcycles in Bedworth, so after a contacting them to see if they could fit me in and had a loan bike available I would be able to drop the bike off in the morning, pick up the loaner and still get to work, so that is what happened! 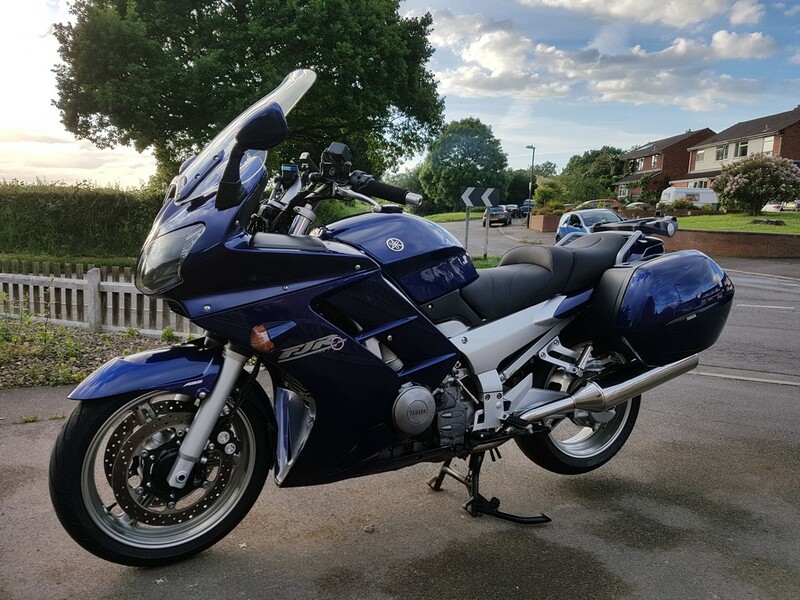 The loan bike that Alf England gave me for the day turned out to be a brand new Suzuki SV650, I was looking forward to trying out this bike as Bob had previously had one for 6 weeks whilst his Triumph was getting some warranty work done and he had loved it, unfortunately within 100 yards of leaving Alf England’s I knew I wouldn’t get on with the little Suzuki, the problem was the seat, it was so uncomfortable that by the time I had reached the M6 (4.6 miles) I was already hating the Suzuki. 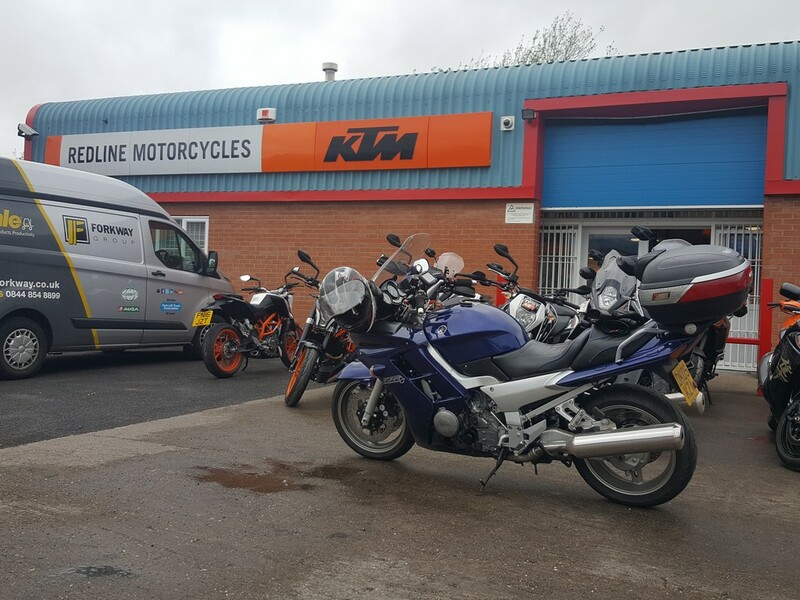 The service technician at Alf England did a great job on the bike, including servicing and replacing some worn out parts of the rear suspension linkage, from what I hear, many dealers don’t do this as it’s a time-consuming job so many riders can be left with worn, damaged rear linkages that can suddenly fail with devastating results! 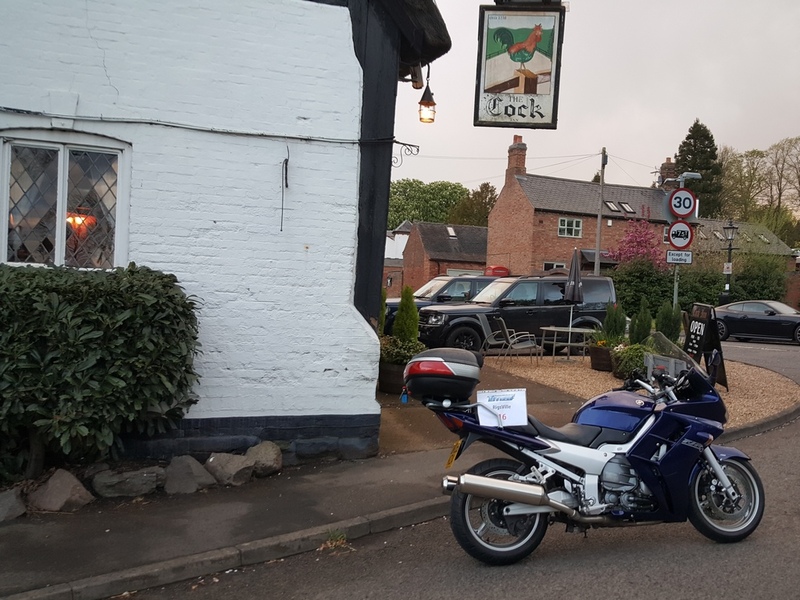 Riding the bike home it felt amazing, how much of that was as a comparison to the SV650 I had just been riding or the work that had been done, I’m not too sure! 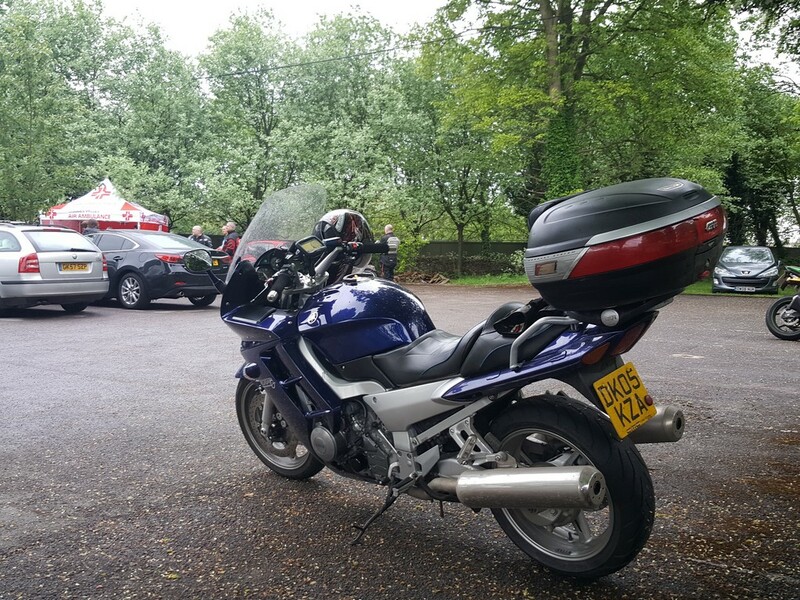 The following day on my ride out to Wheel House Tyres to get a new pair of Pirelli Angel GT’s fitted the bike still felt so comfortable, powerful and smooth so I figure that it must have been the service and not the SV. 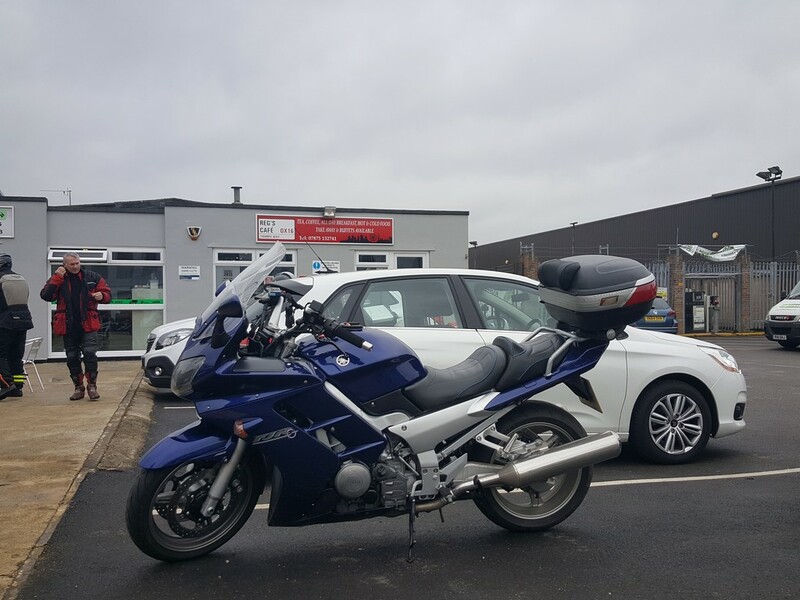 After 766 days of ownership and covering 10,004 miles I’m sad to say that ‘Jazz’ has gone to a new owner in Denmark! 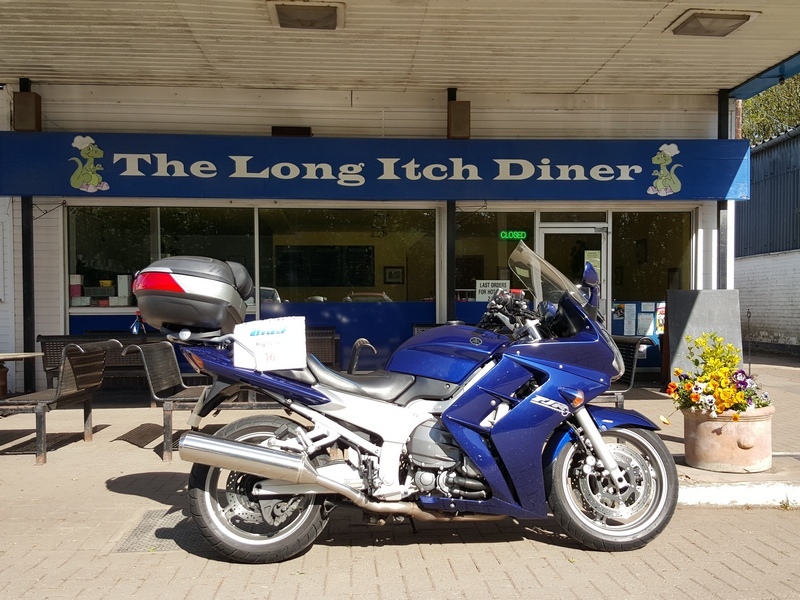 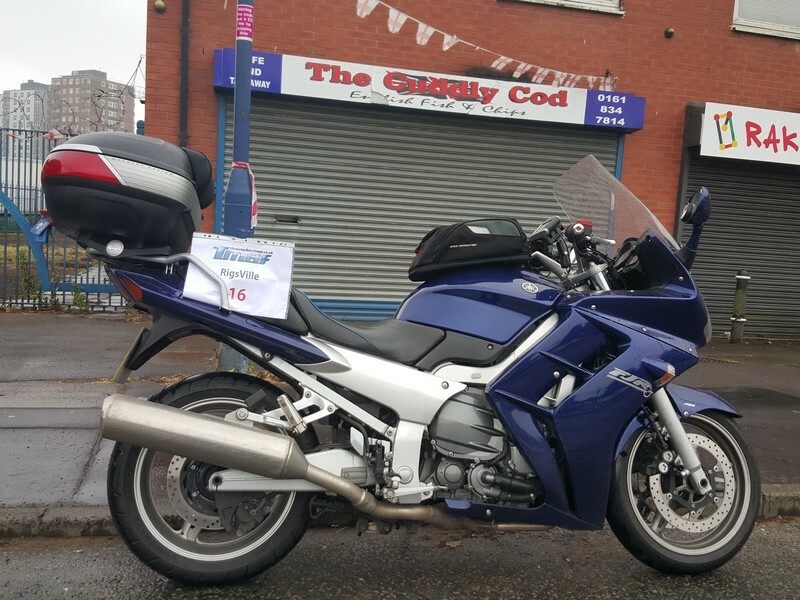 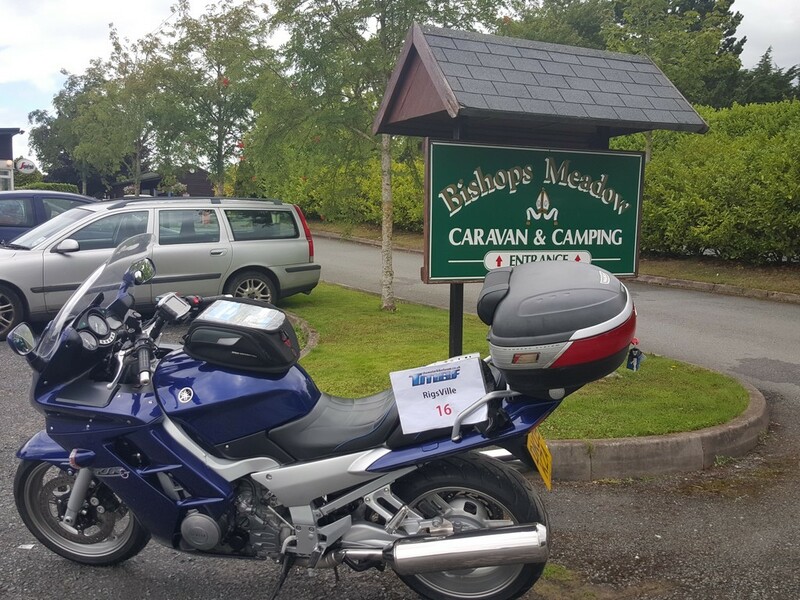 I was sad to see her go as I had enjoyed every mile of our time together but I had started to get ‘that itch’ to try something different, and you can’t get more different than going from a Japanese inline 4 cylinder to a European boxer twin, a BMW R1200GS named ‘Betty’.